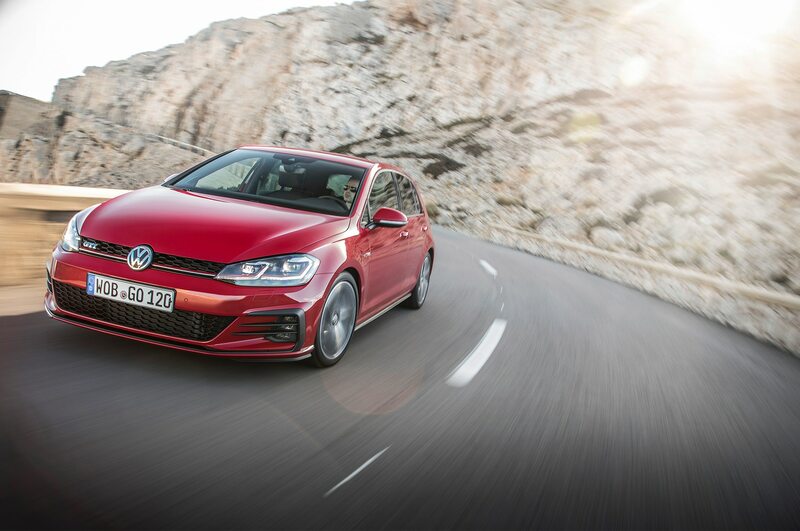 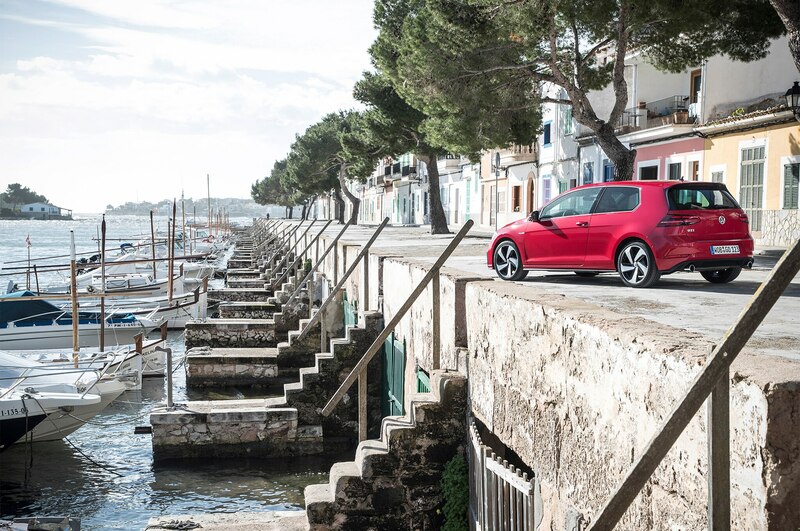 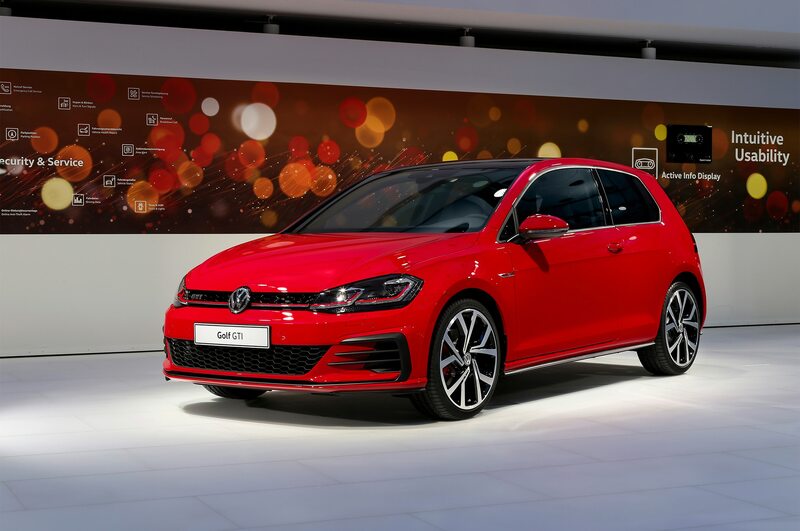 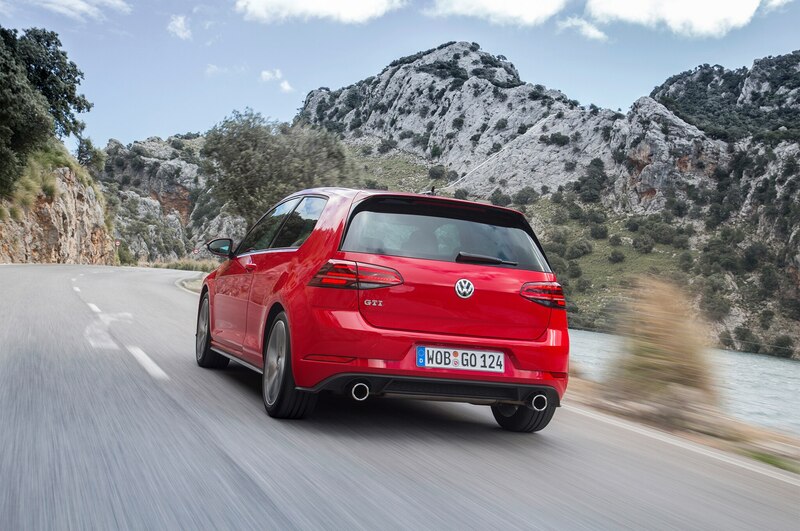 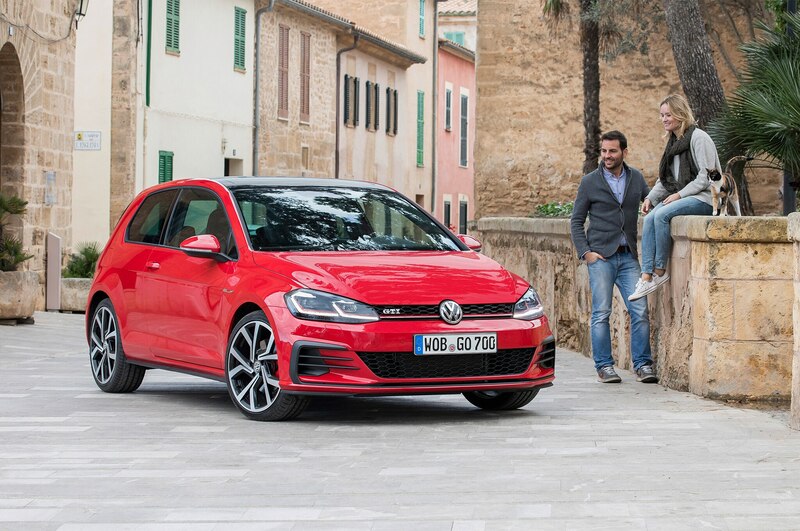 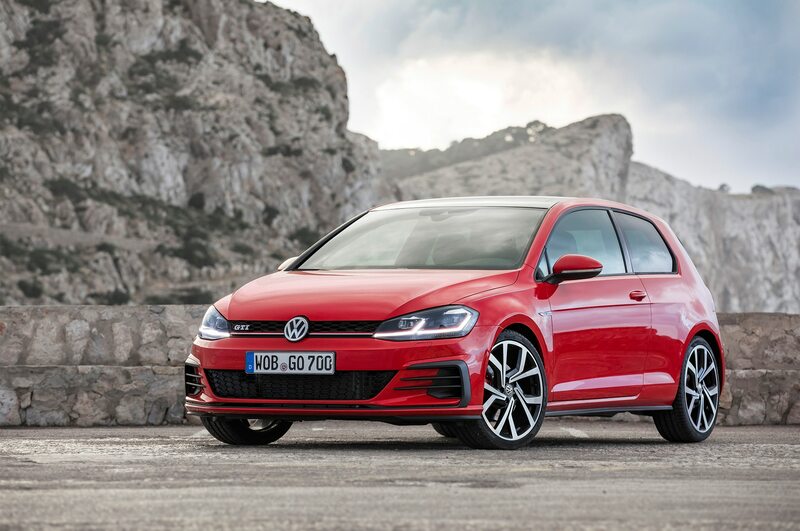 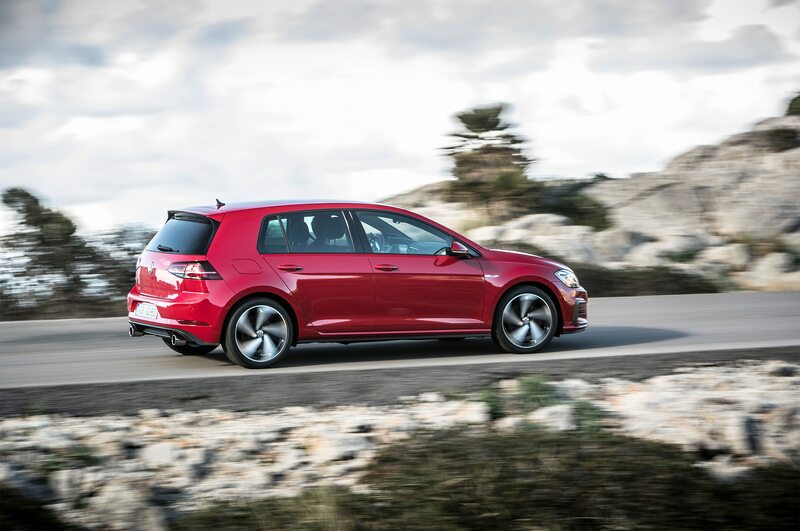 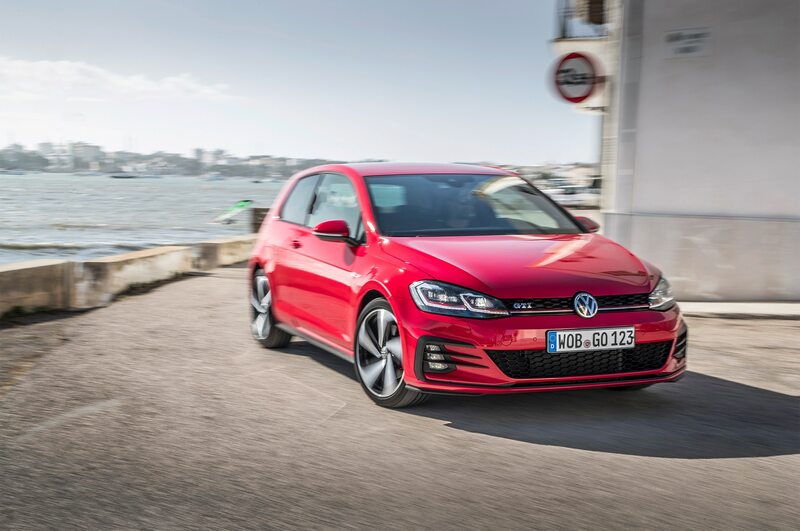 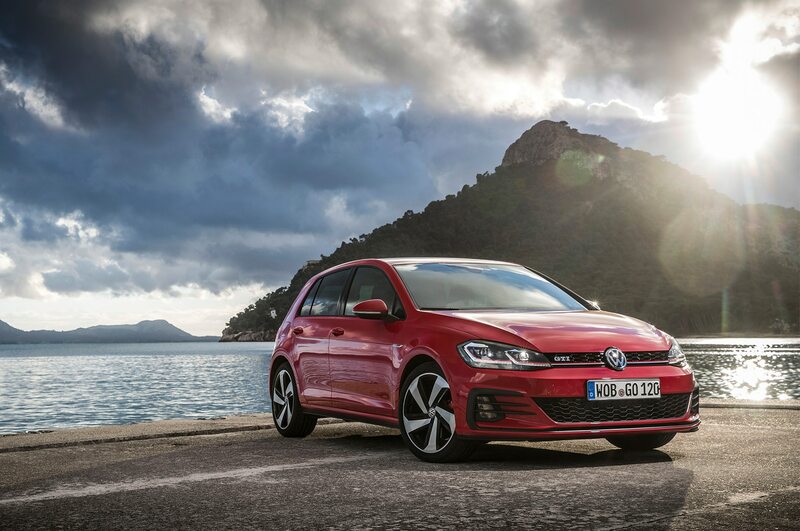 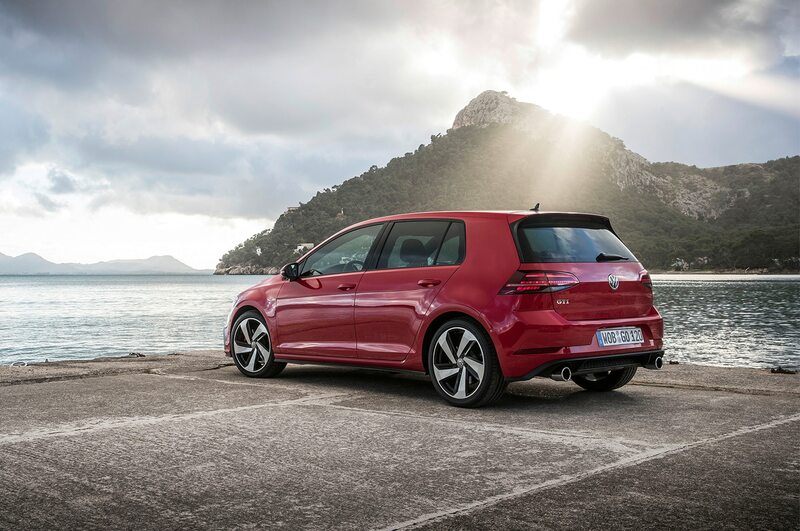 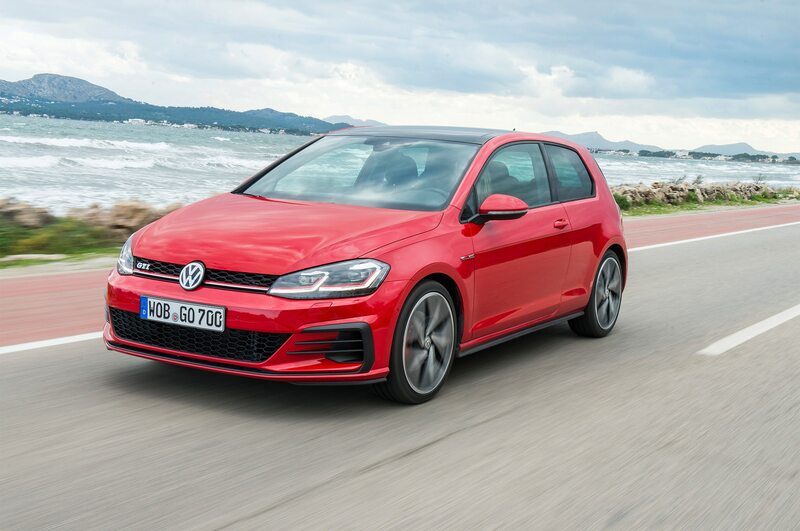 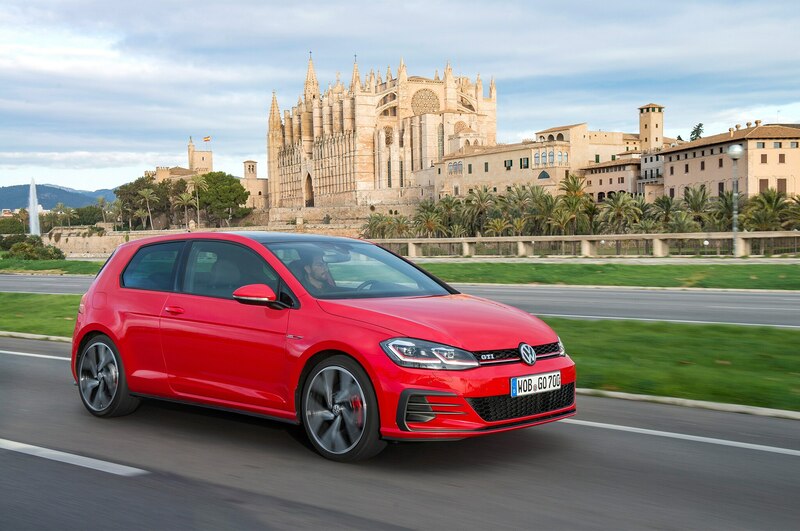 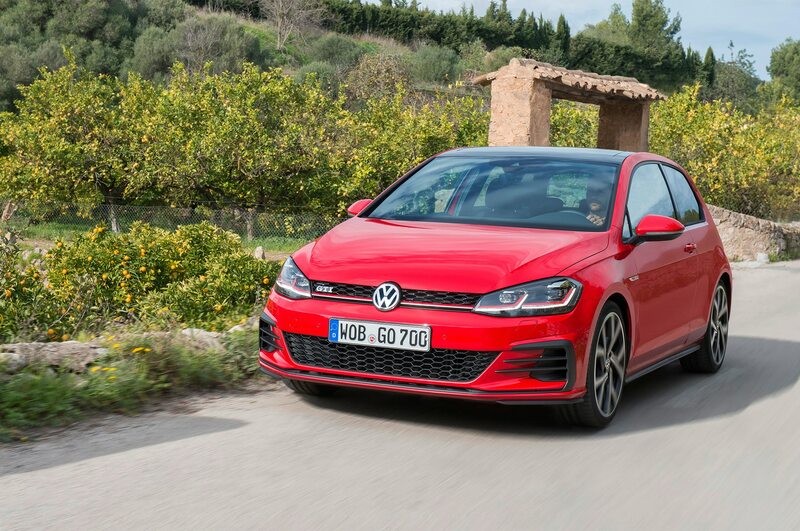 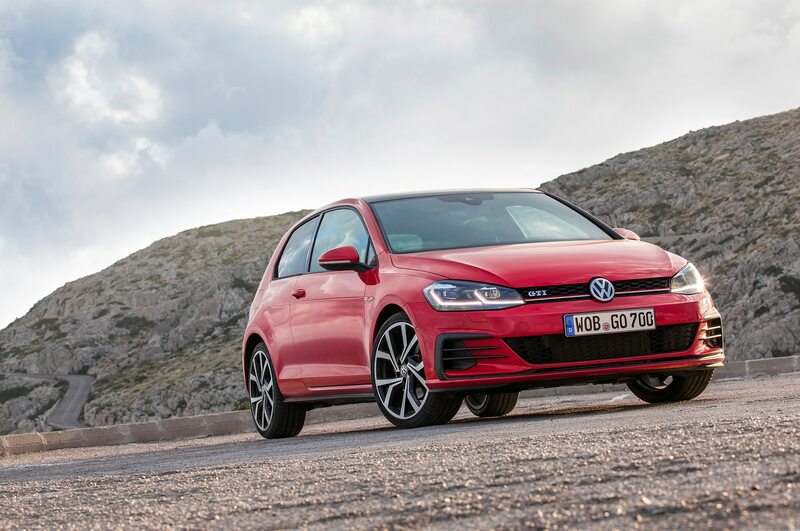 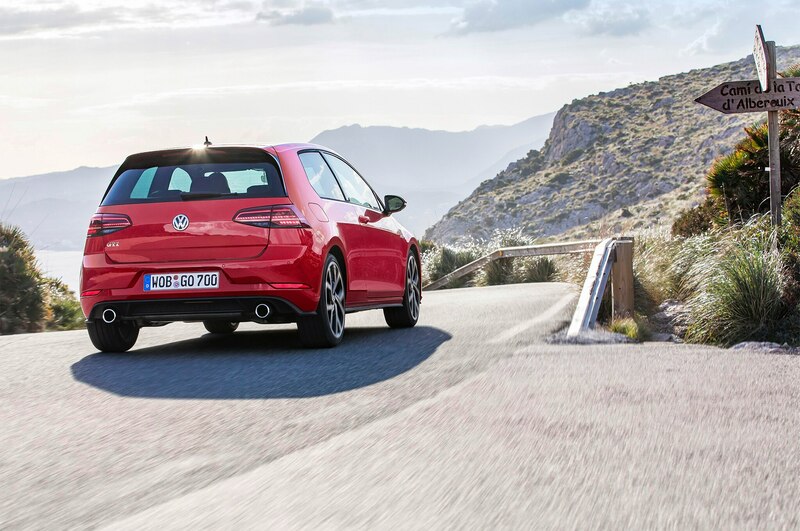 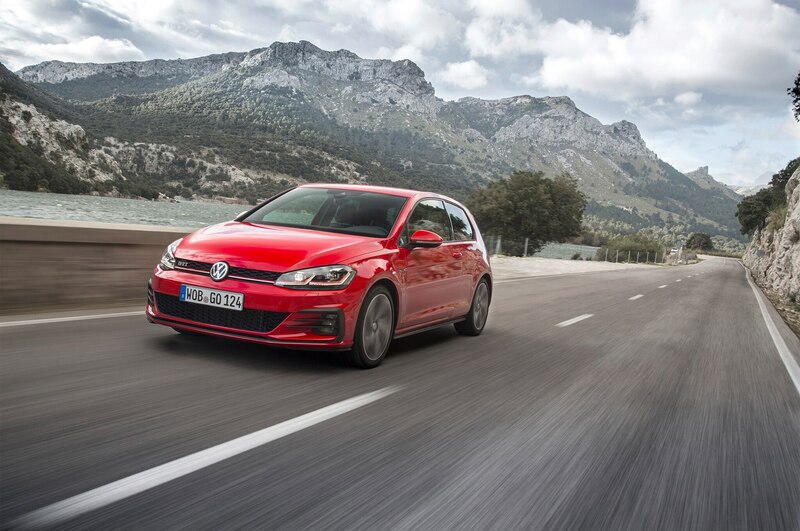 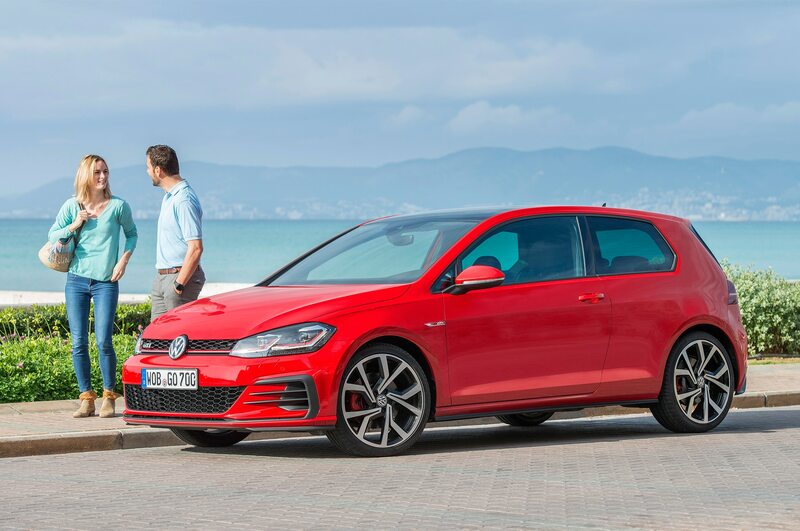 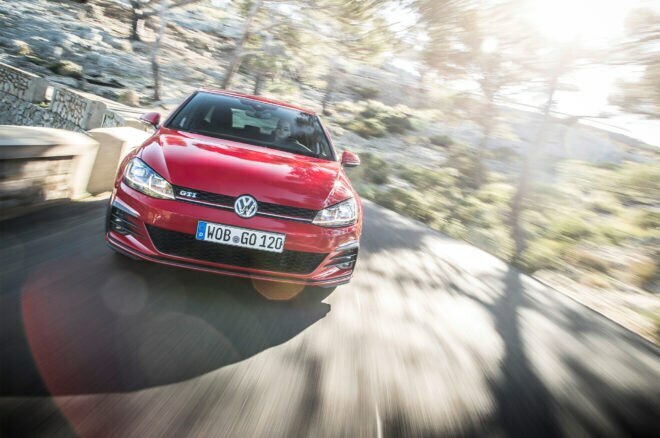 MALLORCA, Spain — Class-defining and at the same time class-less since its debut in 1974, the Volkswagen Golf has become a cornerstone model of the Volkswagen brand. 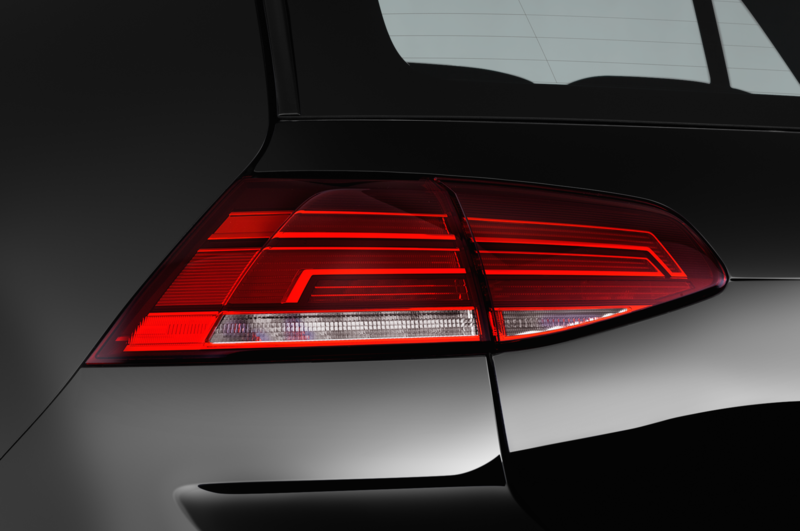 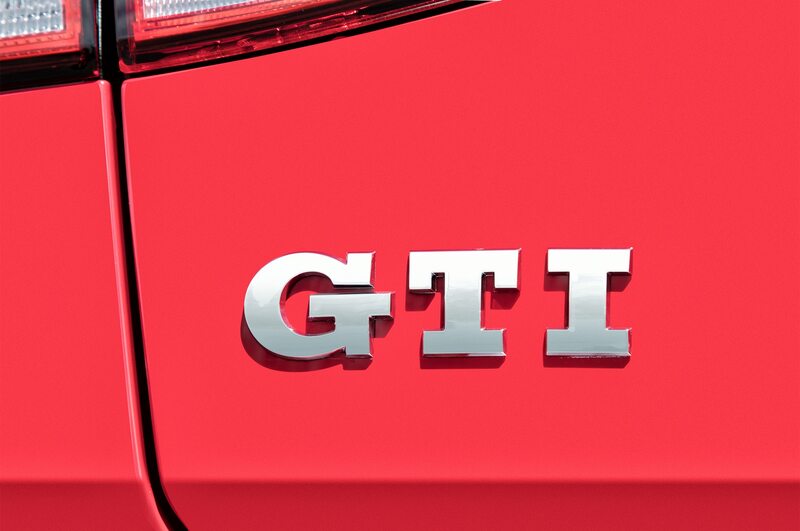 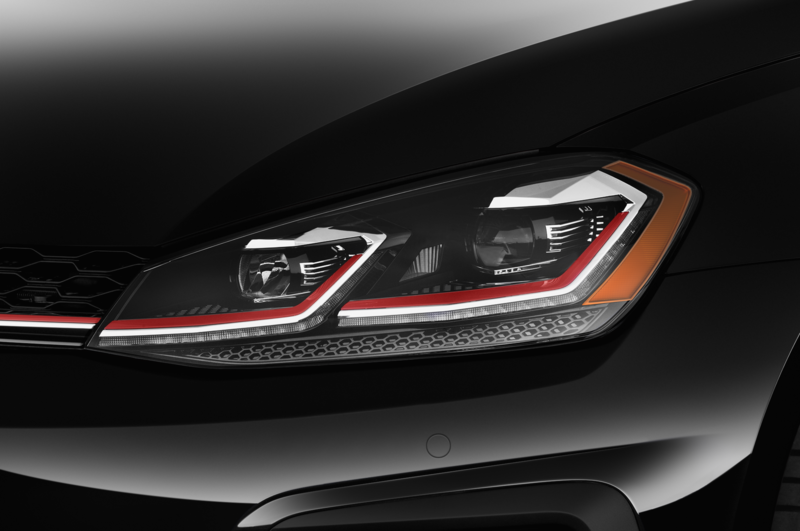 The same can be said in many ways of its sporty variant, the GTI. 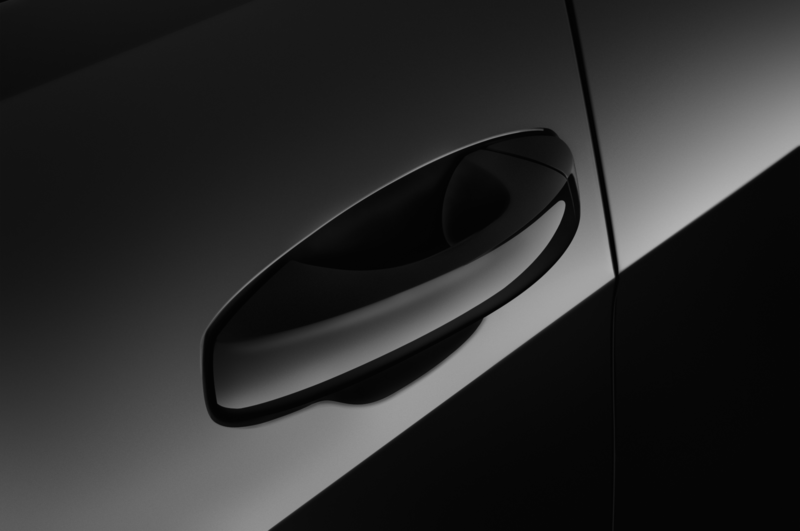 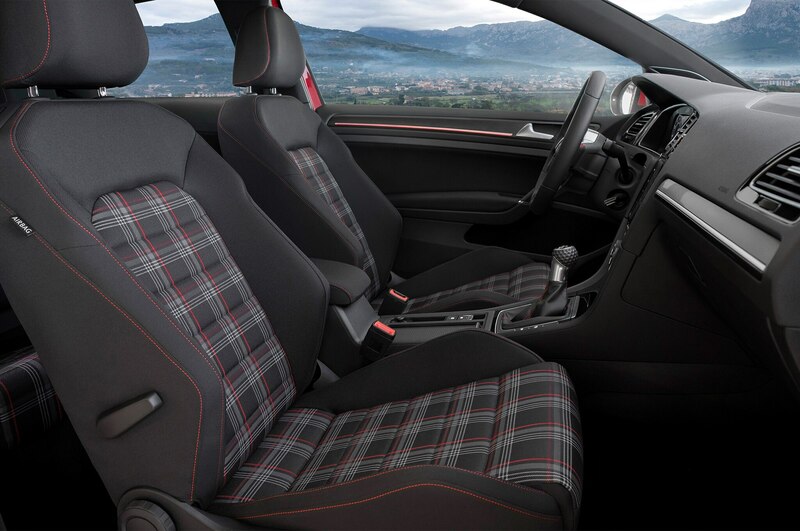 The very first Golf GTi was in essence a grown up Mini Cooper made in Germany. 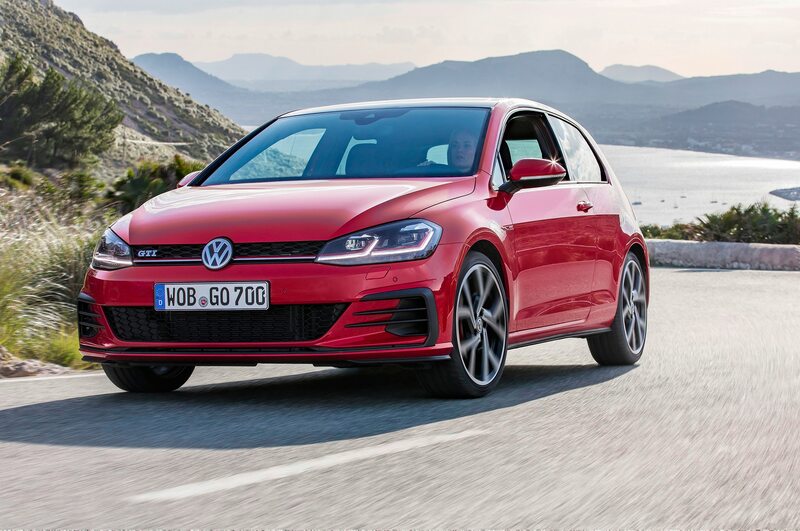 Its 110-hp engine had an easy time motivating the roughly 1,700-lb crackerjack that made history for its amazing handling, roadholding, and performance. 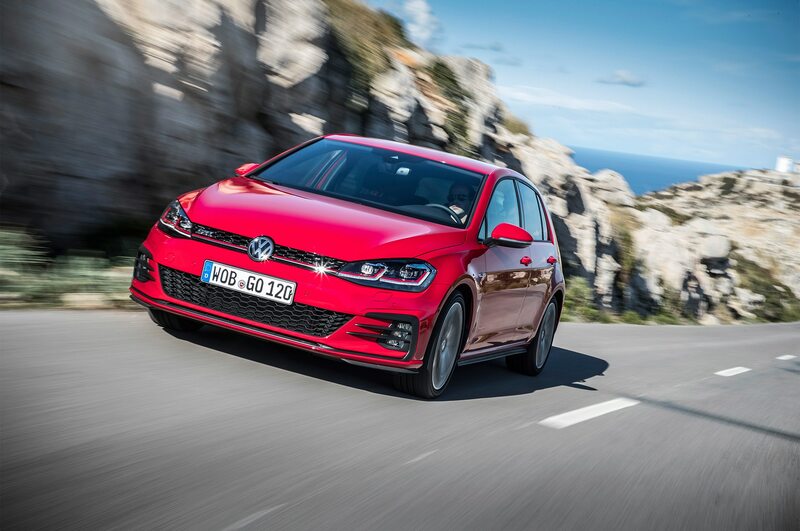 The 2018 Volkswagen Golf GTI has more than double the power of that first model. 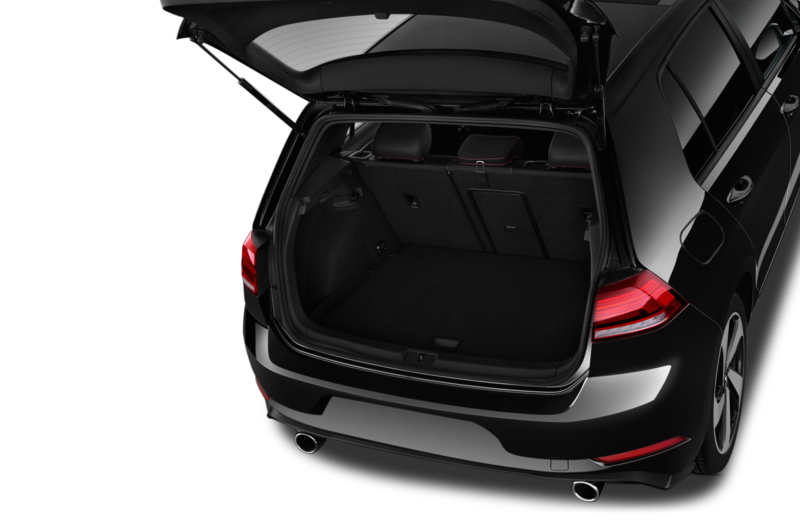 It’s also a lot heavier, with a roughly 70 percent weight gain to slightly more than 3,000 lbs. 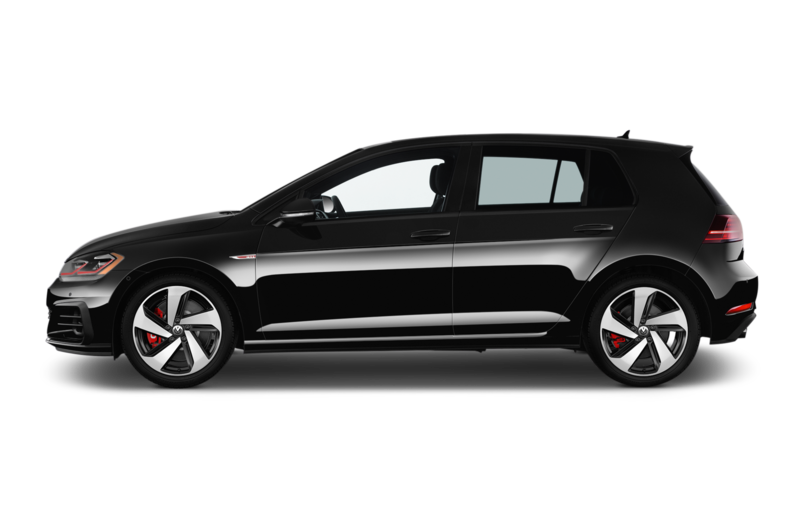 One thing that hasn’t changed much though: The GTI still remains a blast to drive. 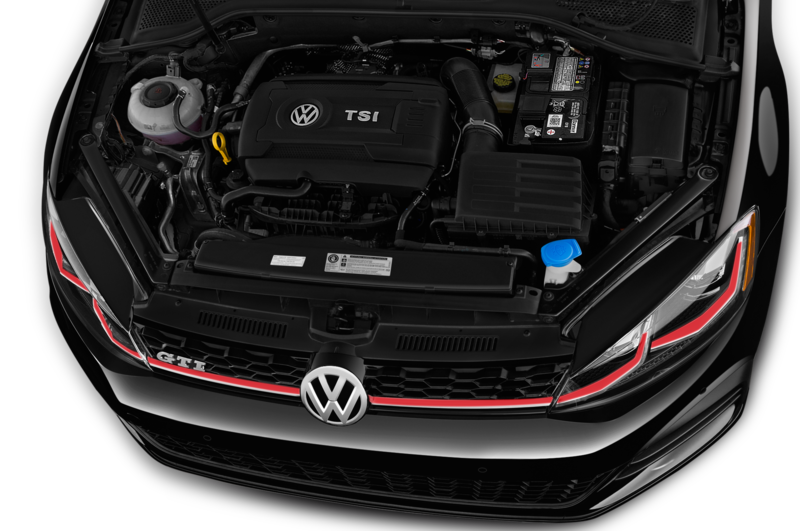 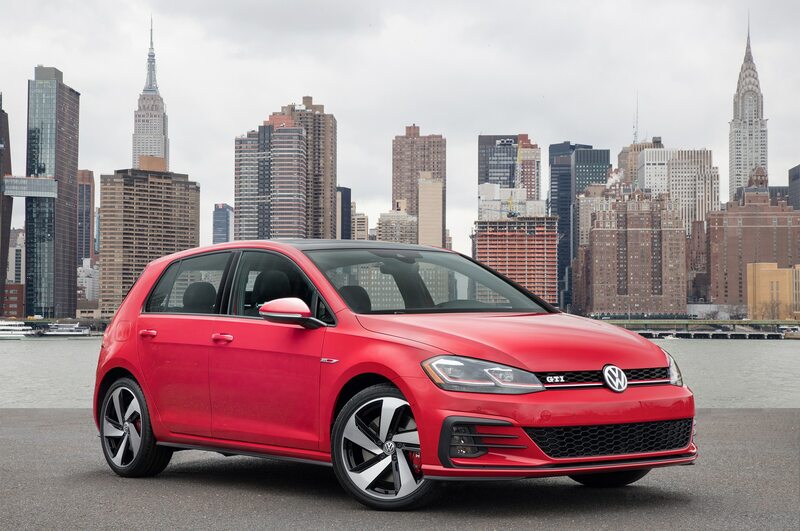 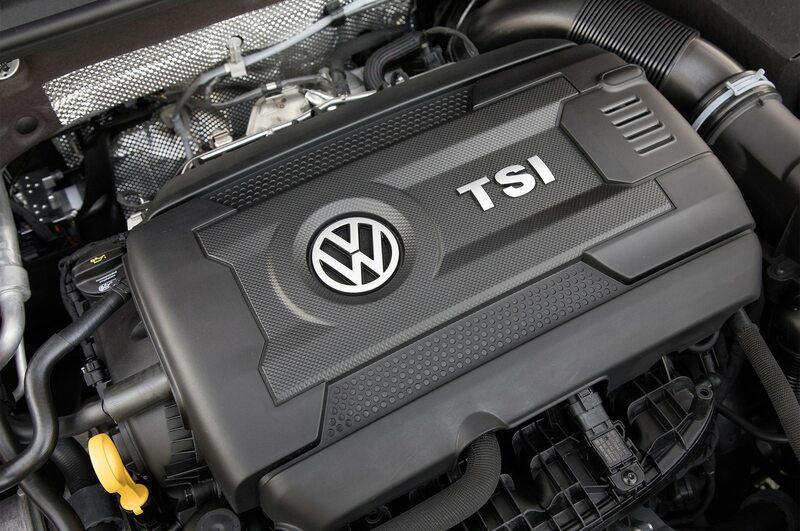 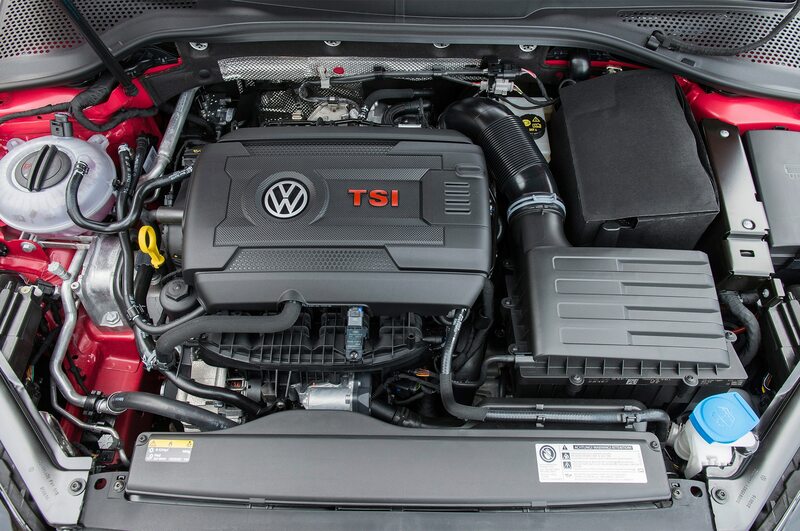 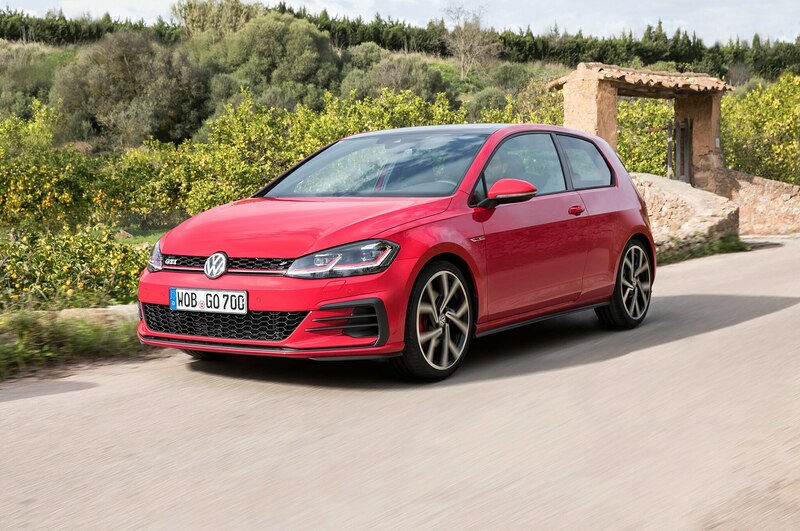 Its turbocharged 2.0-liter I-4 picks up an extra seven horsepower in European specification, while GTI Performance Package gets a 14-hp boost in its newest guise. 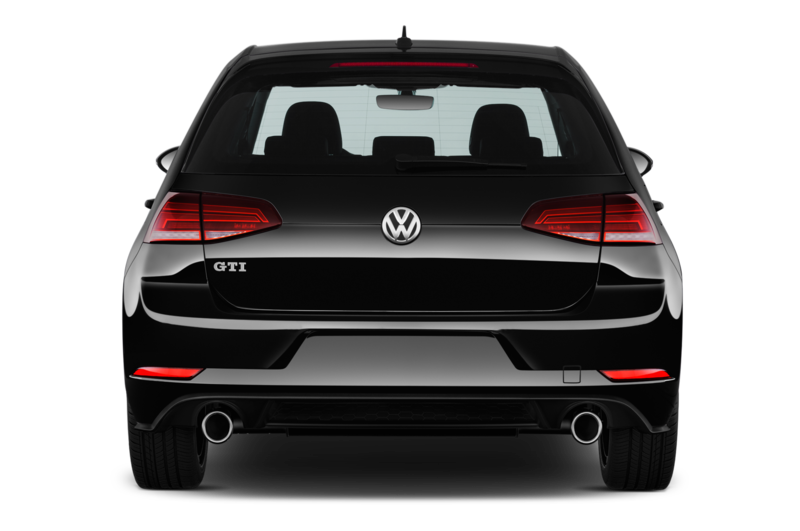 Despite the updates, the asking price remains virtually unchanged. 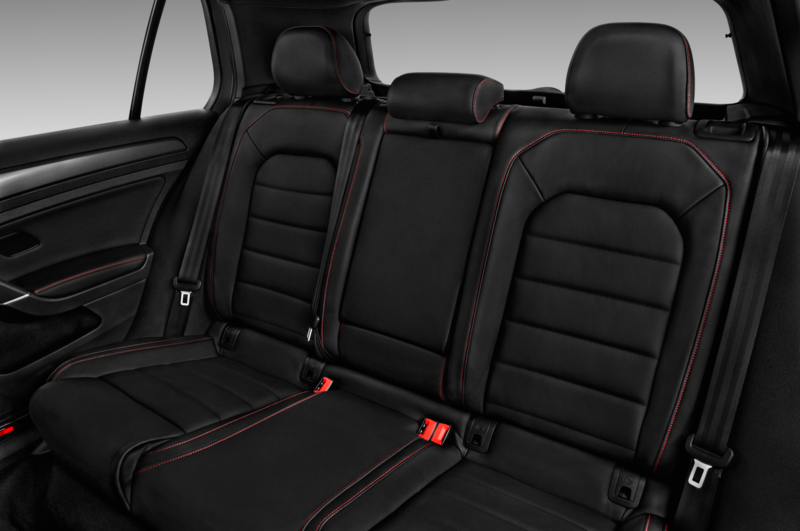 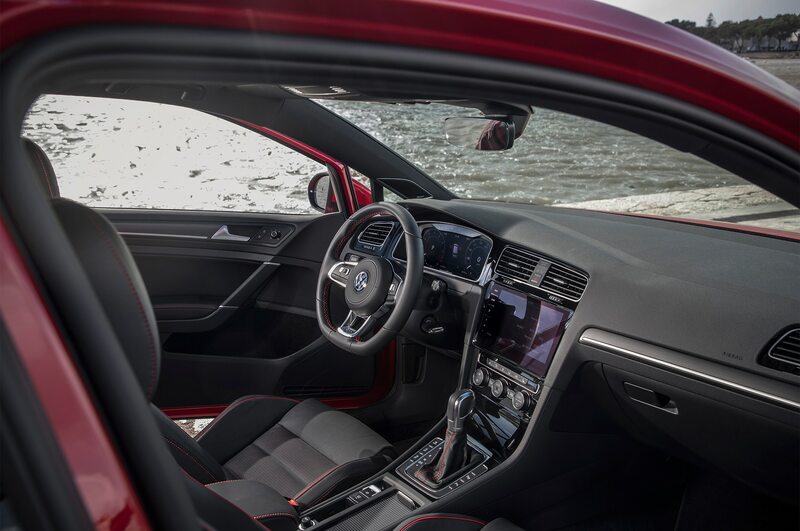 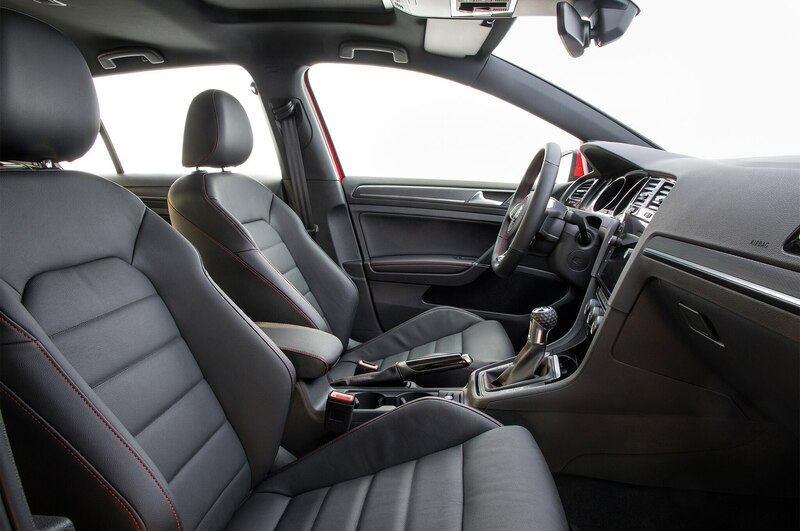 Our red test car is a four-door manual with 19-inch wheels, adaptive dampers, intelligent lighting, the all-in infotainment pack, and just about every available driver assistance system. 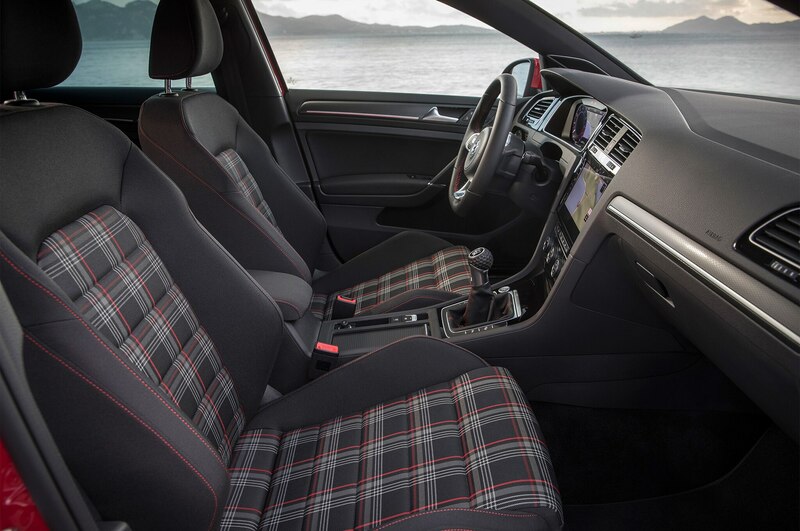 The cloth seats look and feel good, the cockpit is still more steering-wheel than games console, and the ergonomics are more intuitive than confusing. 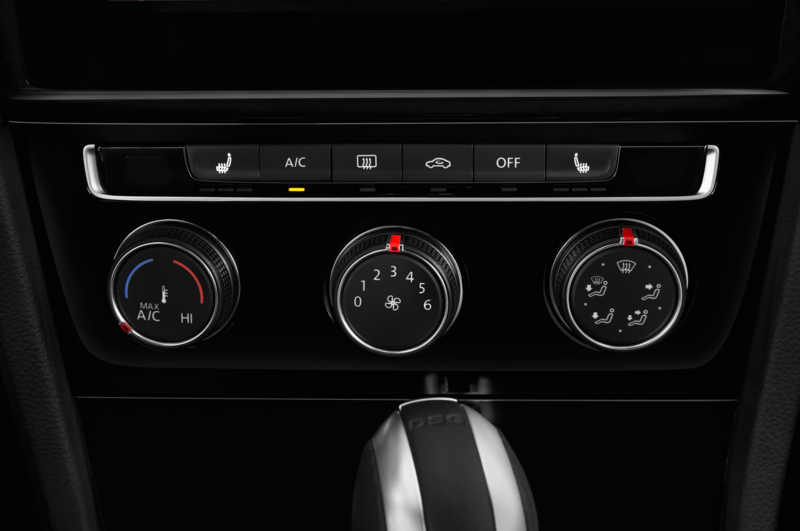 Pressing the starter button activates two sound sources. 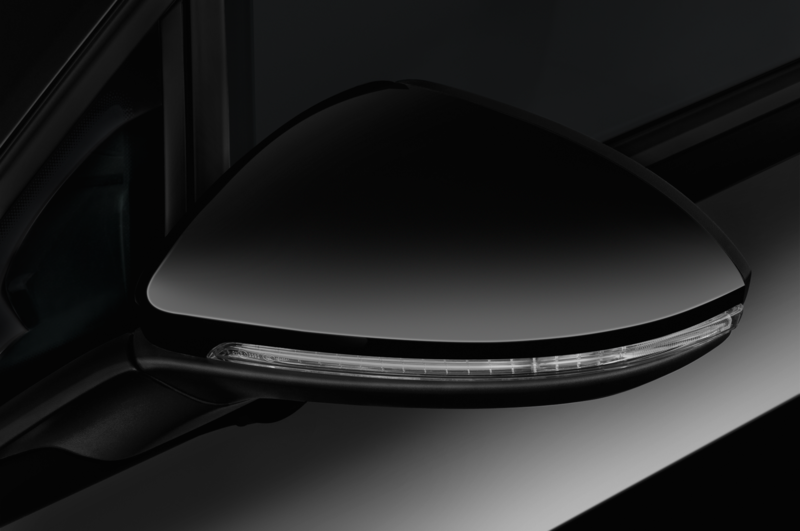 Initially it’s even battle between Dynaudio stereo system and the EA211 engine, but after a fingertip correction, the powerplant beats the amplifier. 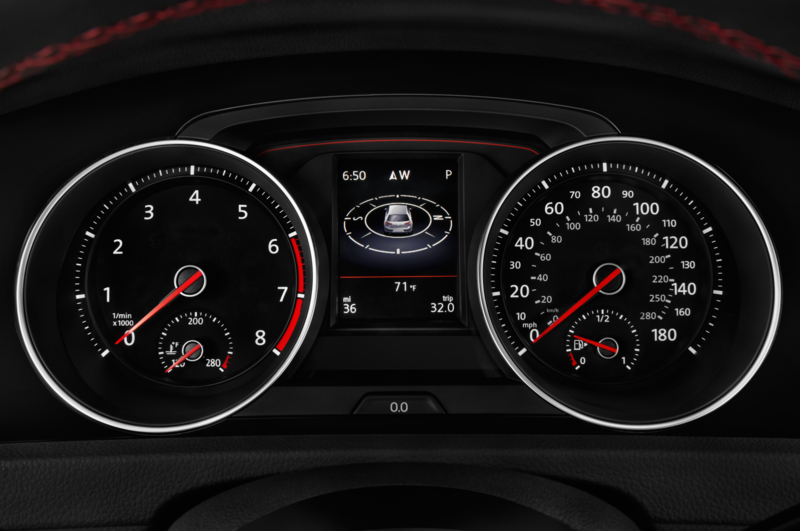 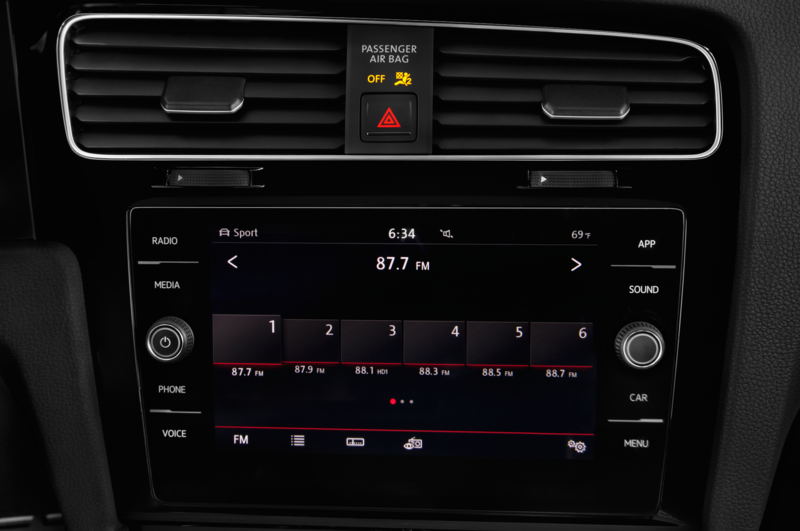 The GTI’s drive mode selector invites you to tweak engine and transmission response, damper setting, and steering behavior, but it won’t let you turn up the exhaust volume. 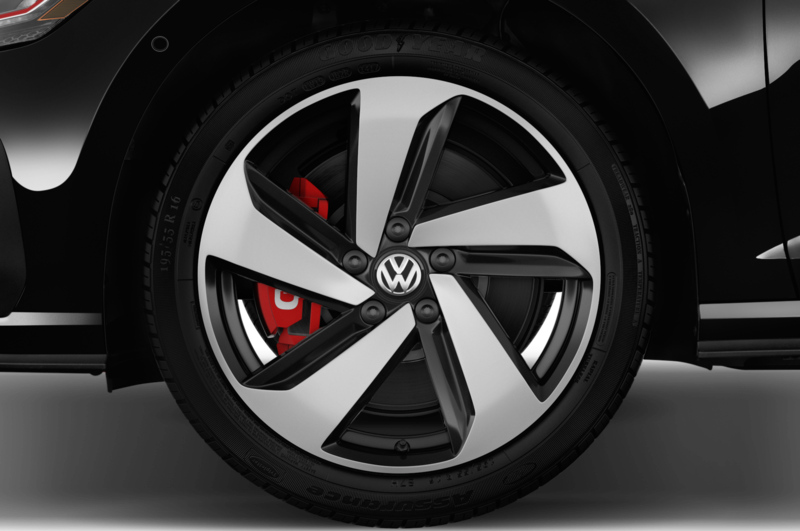 For a loop on Spanish gatorback C-roads, we lock the shock absorbers in comfort and leave the other elements in sport. 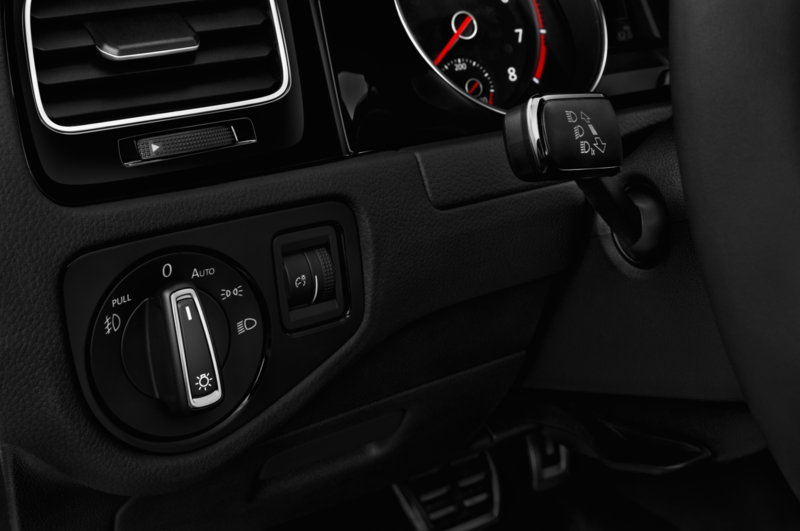 Although there is an ESP button, you can only deactivate traction control. 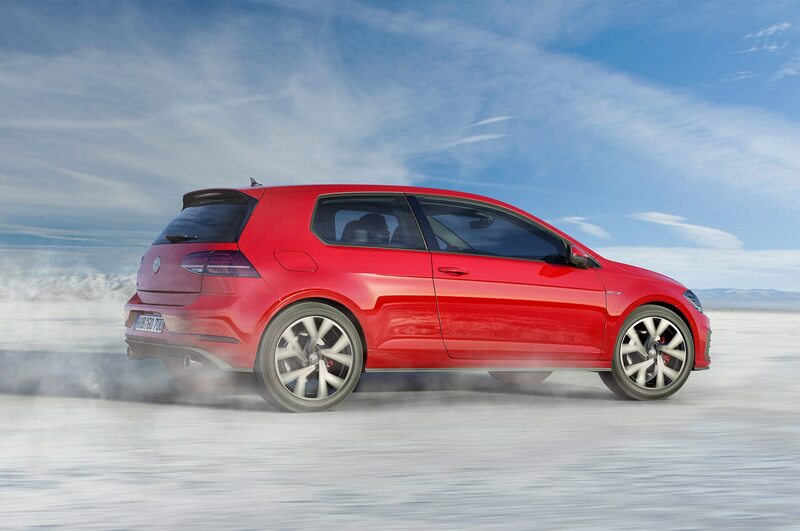 So, take-off wheelspin, yes; lift-off oversteer, no. 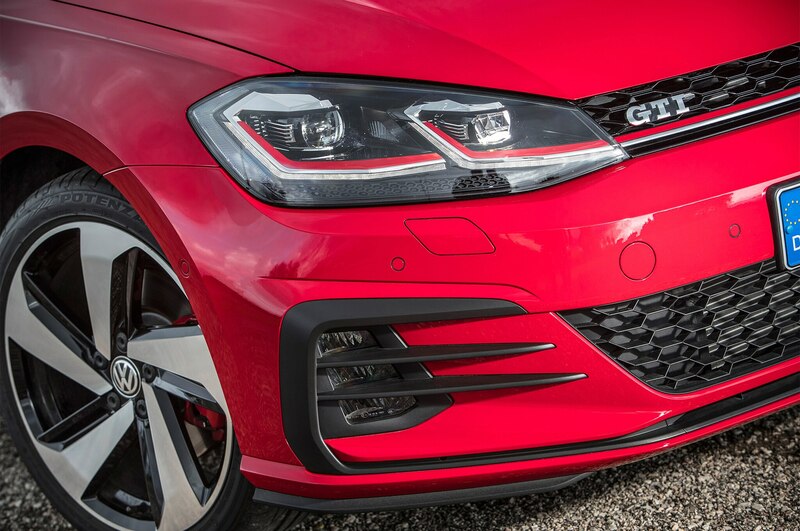 Like its predecessor, the 2018 GTI is not an aggressive street racer but a relaxed gran turismo with long legs and plenty of low-end grunt. 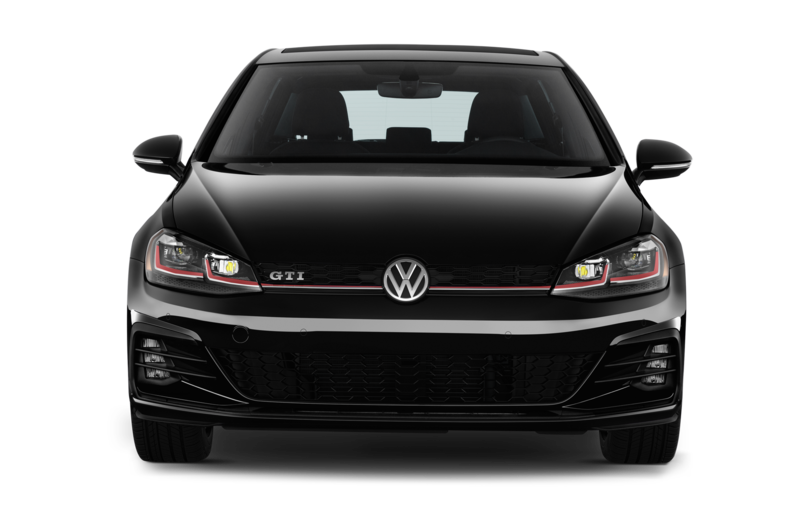 Its livery is tastefully tailored, its stance is understated yet confident, and its voice is half Peter Fonda, half Sean Connery. 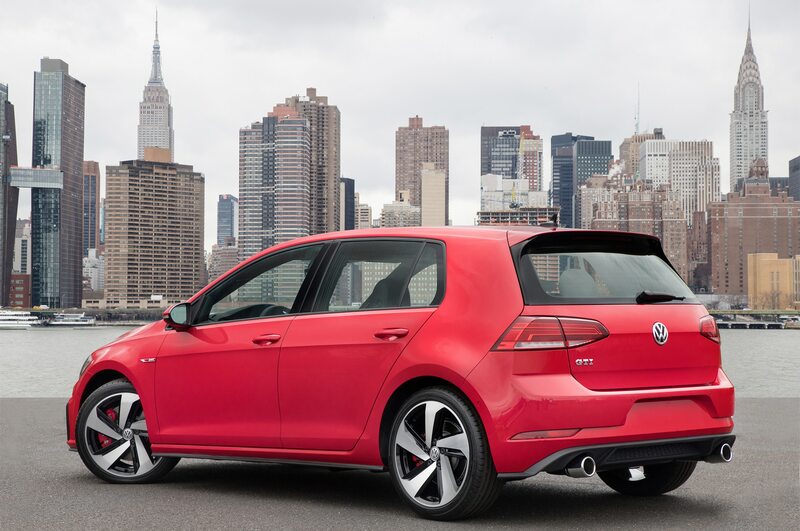 The seventh-edition best-seller is built like a vault — think Golf with Phaeton genes, not vice versa. 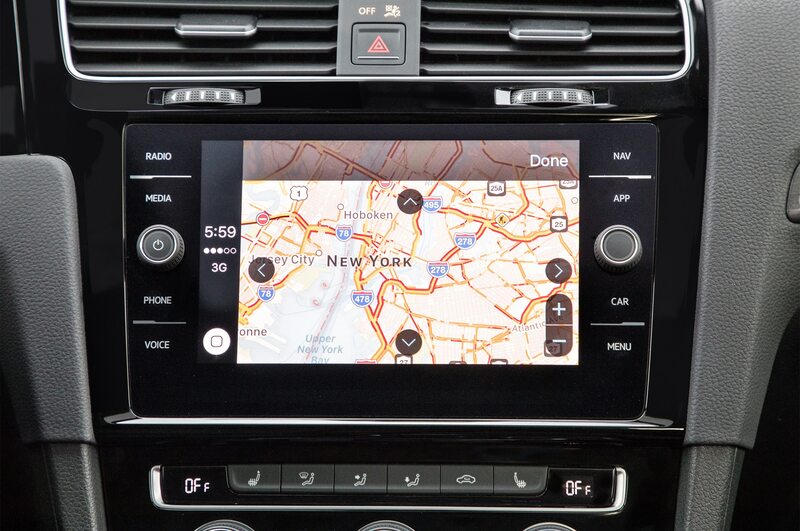 The cockpit oozes quality: soft-touch surfaces, metal accents actually made of metal, solid controls, sturdy fabrics, high-definition displays, and more than a dozen modern conveniences including gesture control and active info display are available. 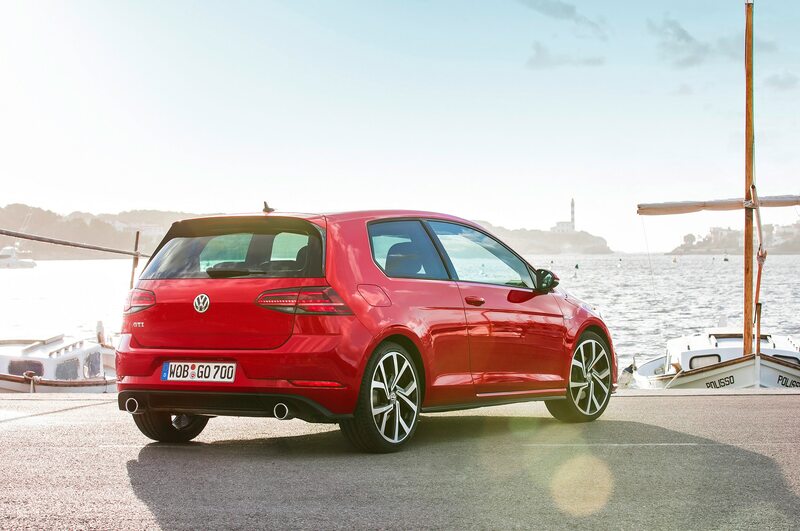 Want to hitch a ride? 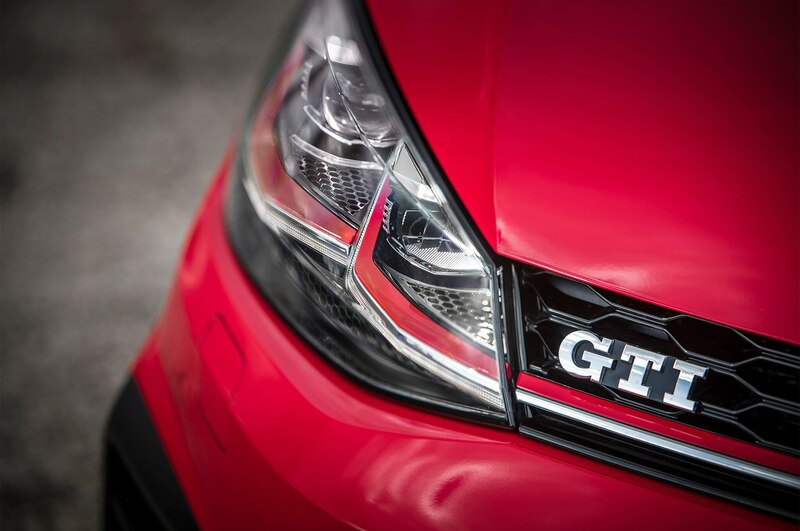 At the word go, we’re off. 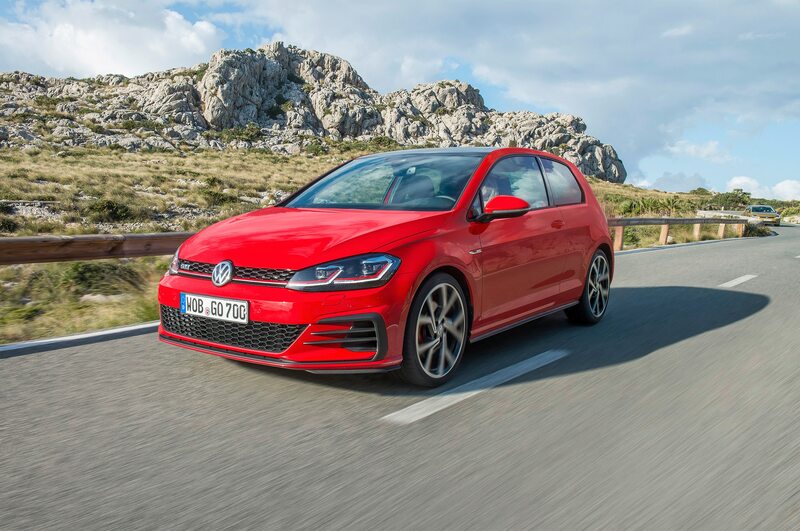 Even at 4,000 rpm, the acoustics are still reminiscent of a padded cocoon — no suspension rumble, front axle quiver, tire roar, or driveline indispositions. 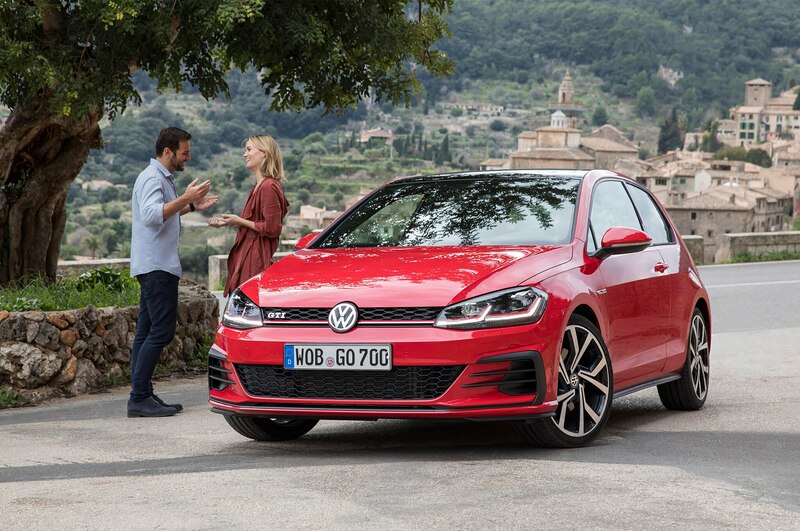 The only music playing in your headphones are the dense and delicately staggered tonalities of VW’s finest gasoline engine. 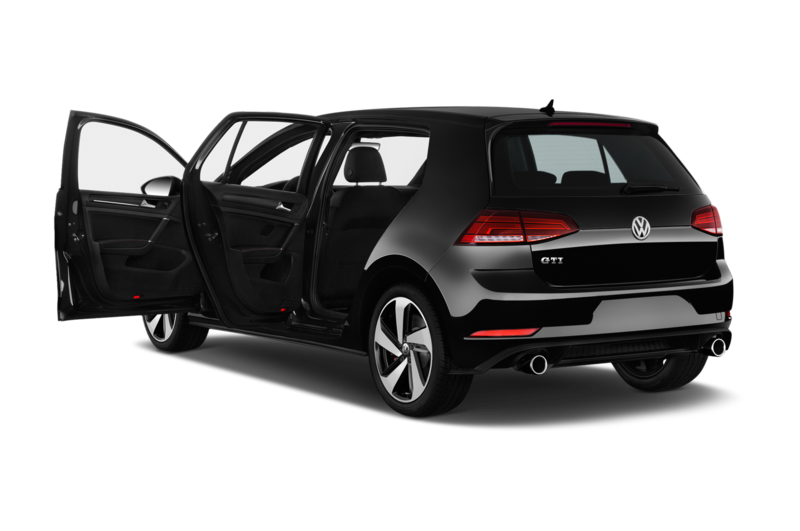 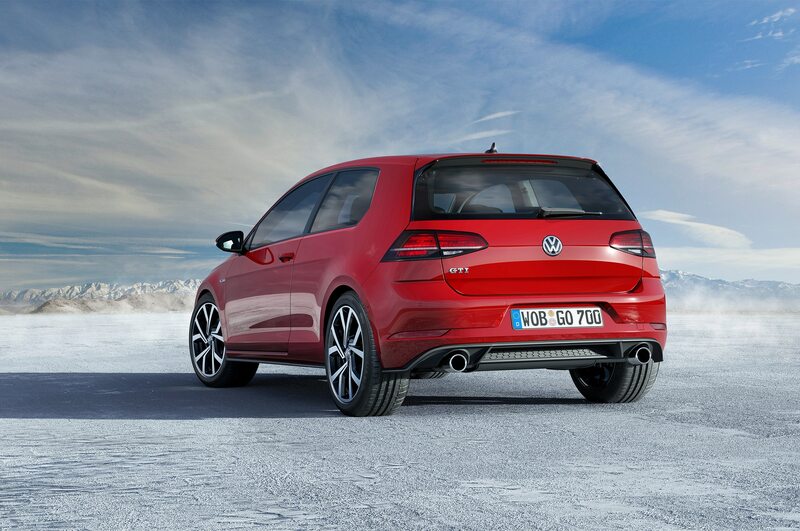 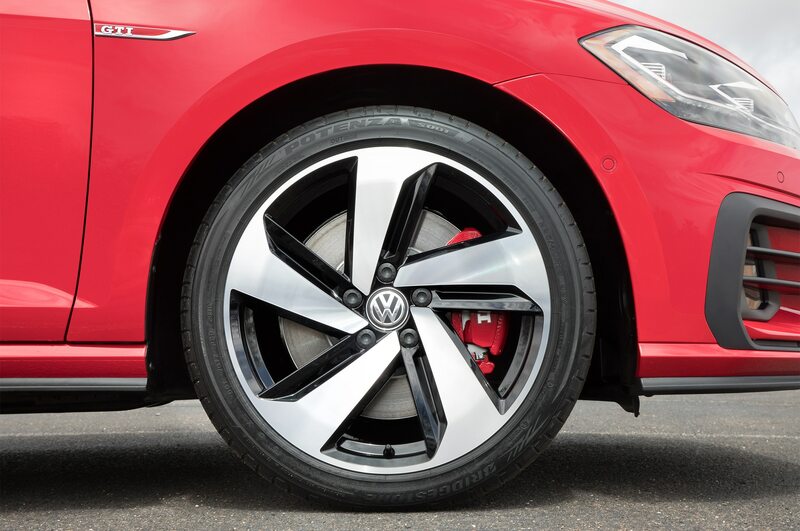 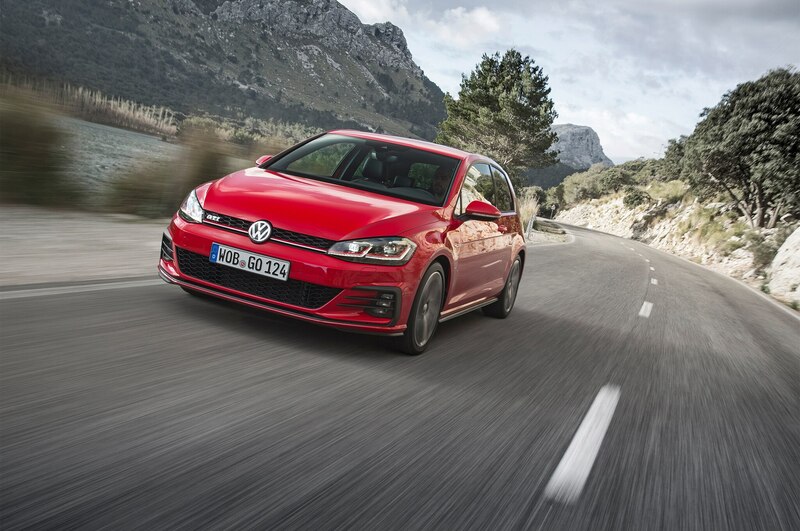 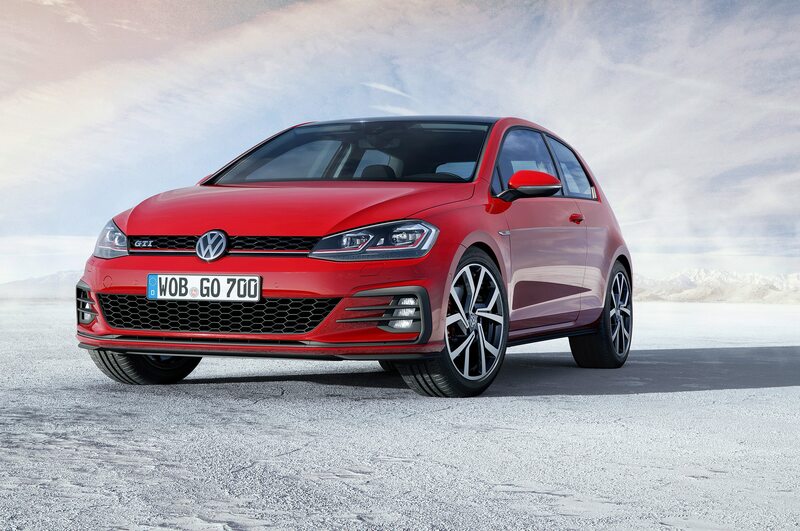 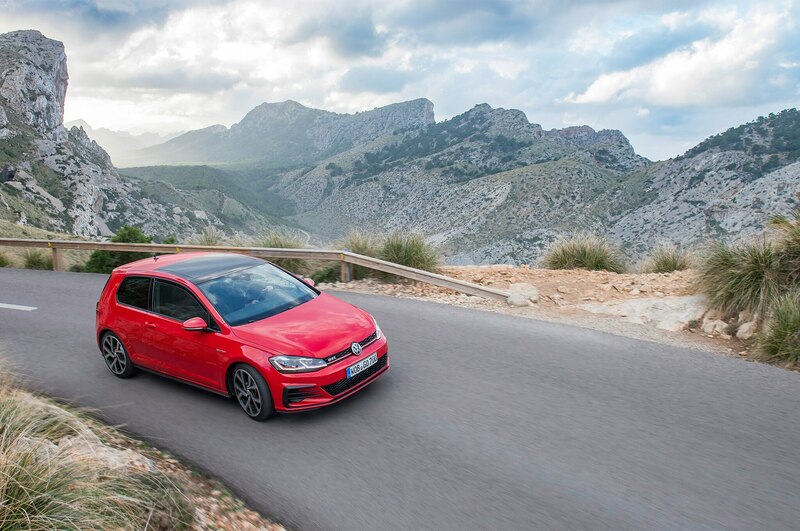 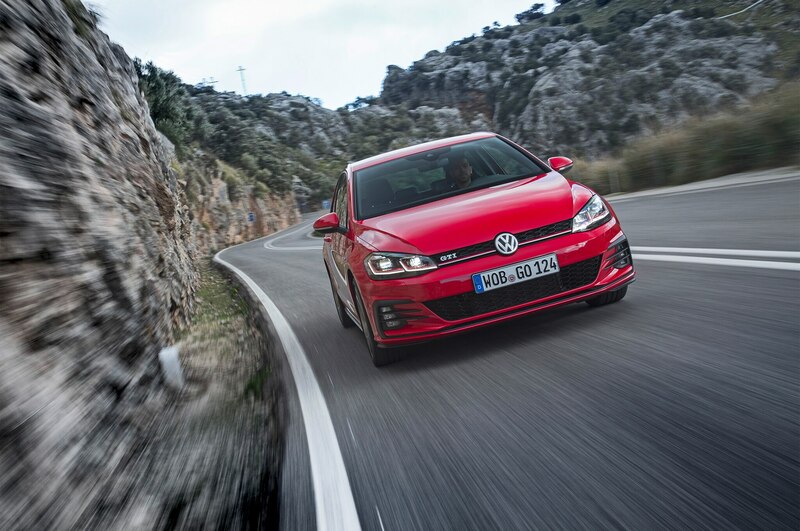 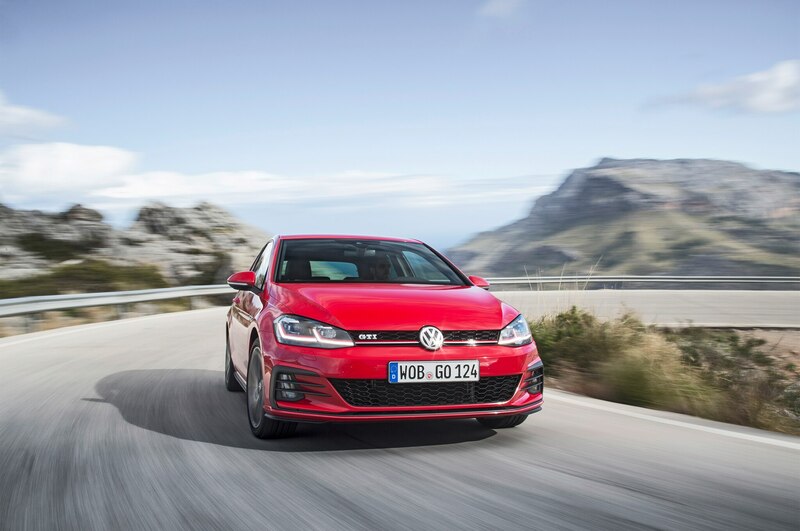 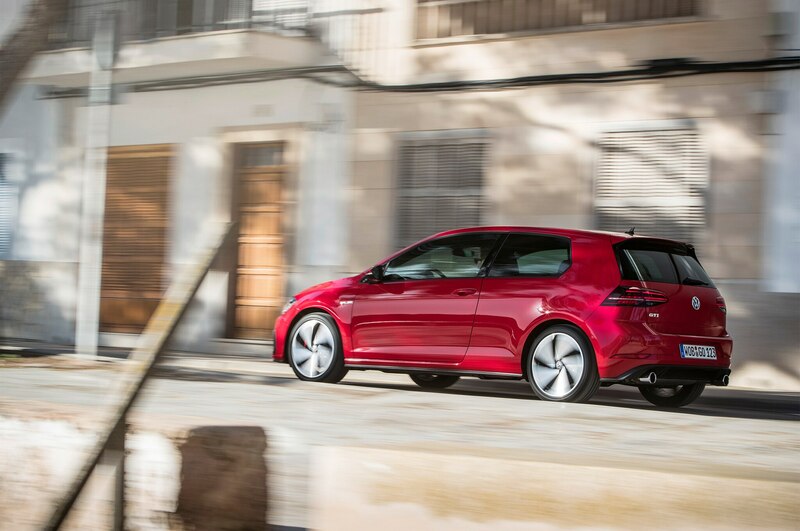 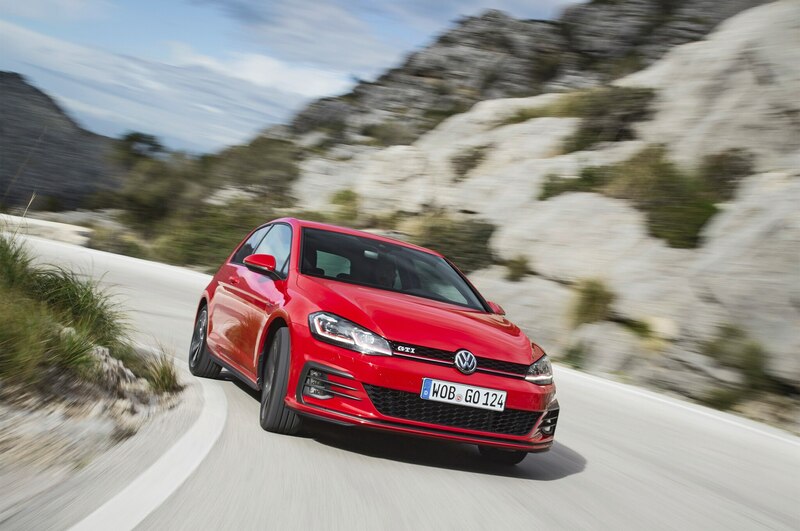 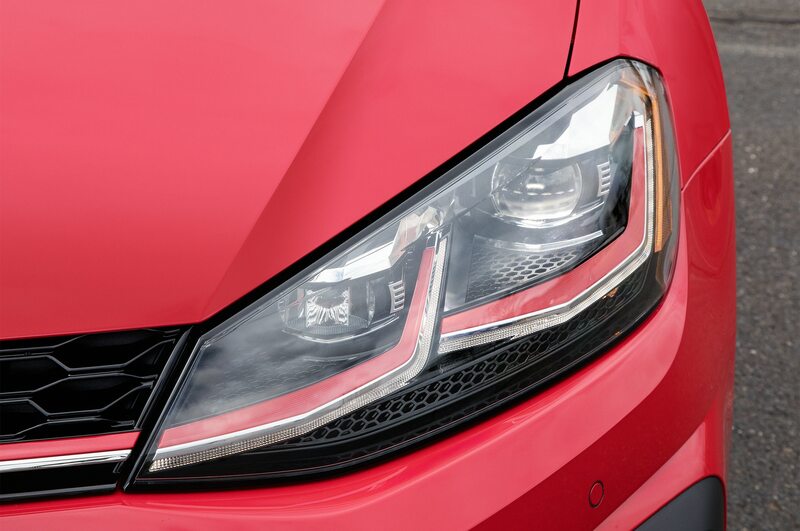 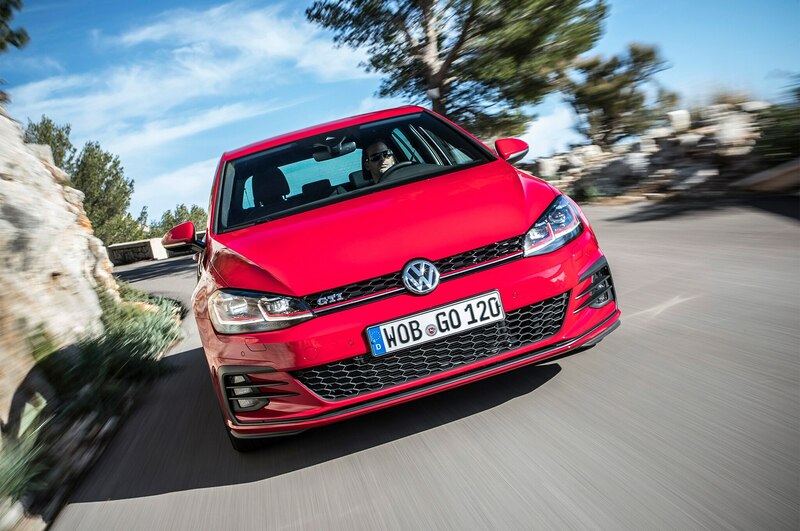 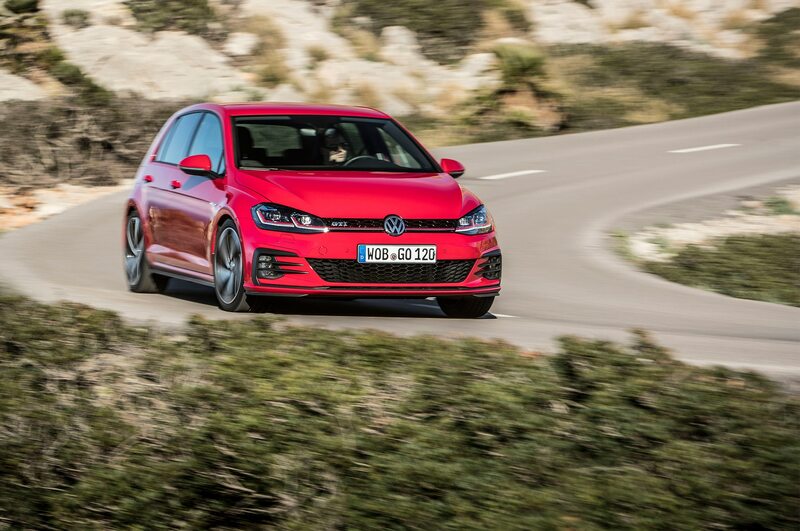 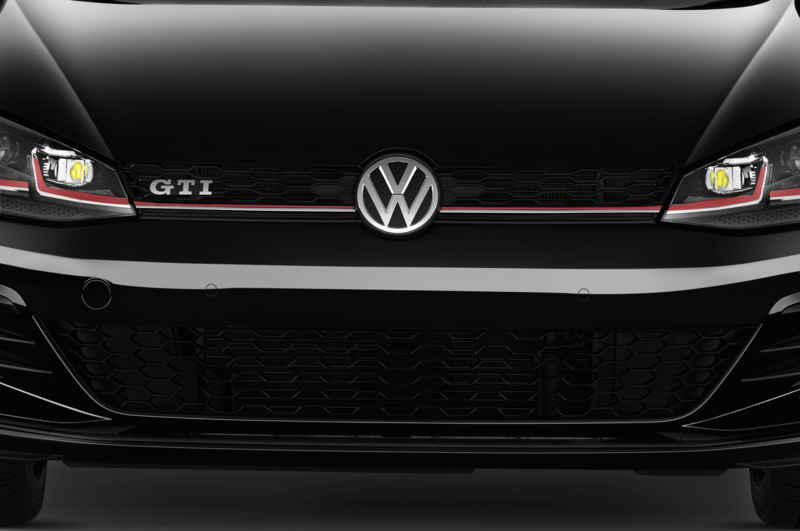 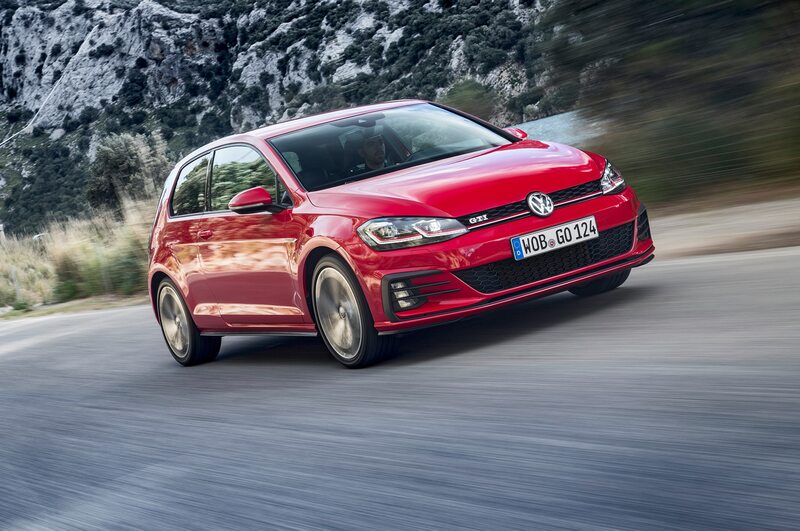 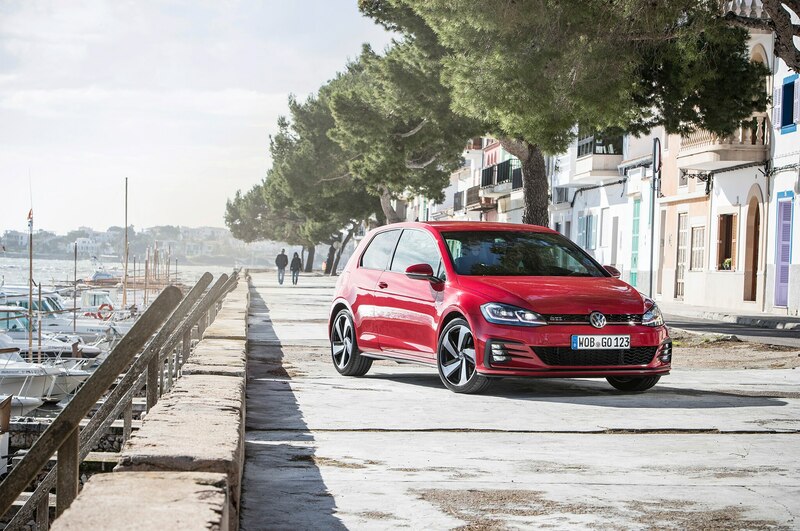 Equipped with a sports suspension and so-called progressive power steering, the new GTI comes well prepared for the narrow twisties that carve in serpentines and terraces up and down the steep mountain flanks. 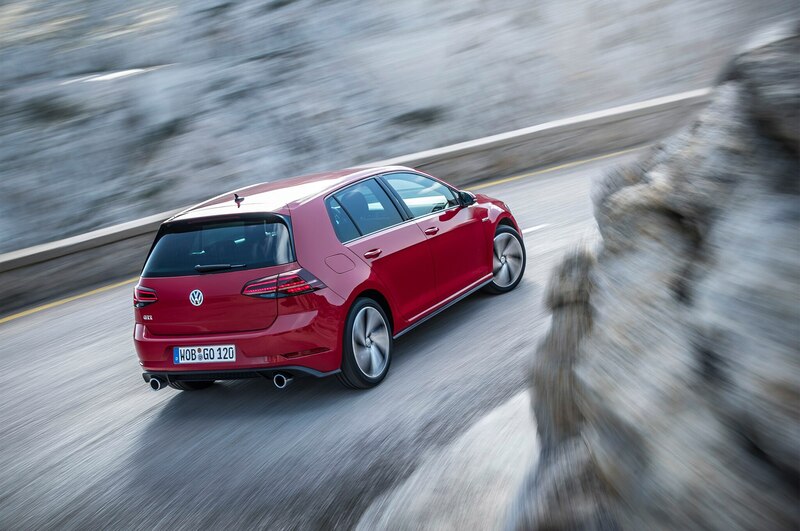 You never need sixth gear on this roller-coaster terrain, but first is a must around the hairpin turns that climb like spiral straircases through the rock formations. 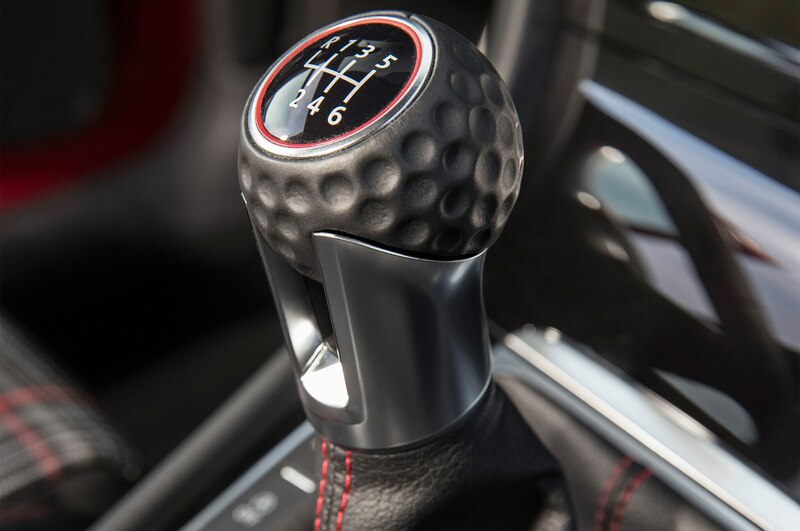 With the exception of short straights and occasional switchbacks, this is mainly second- and third-gear stuff. 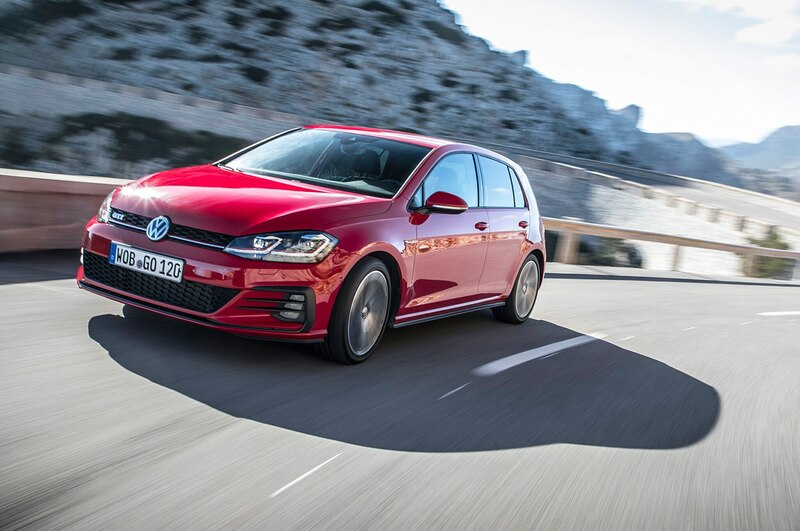 Good to know then that this Golf picks up the torque thread at a low 1,500 rpm, spanning its lofty 258 lb-ft peak from there all the way to 4,600 rpm. 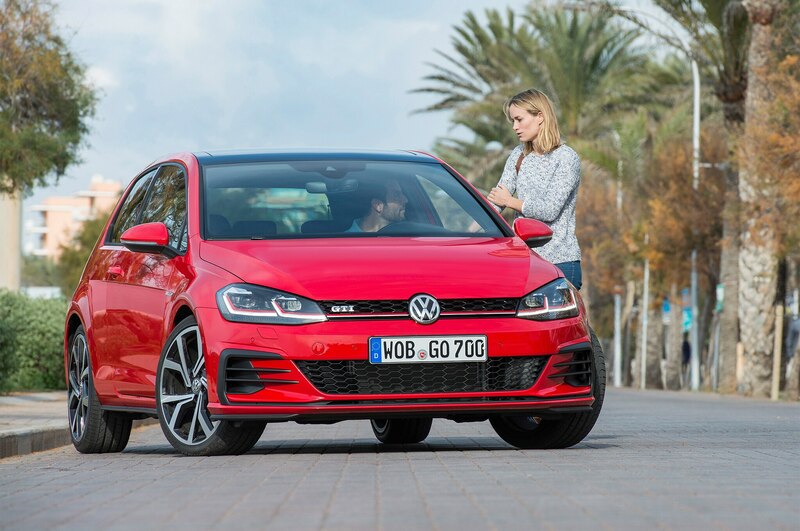 It does not come as a surprise that the six-speed manual changes ratios almost as rapidly as the optional DSG transmission. 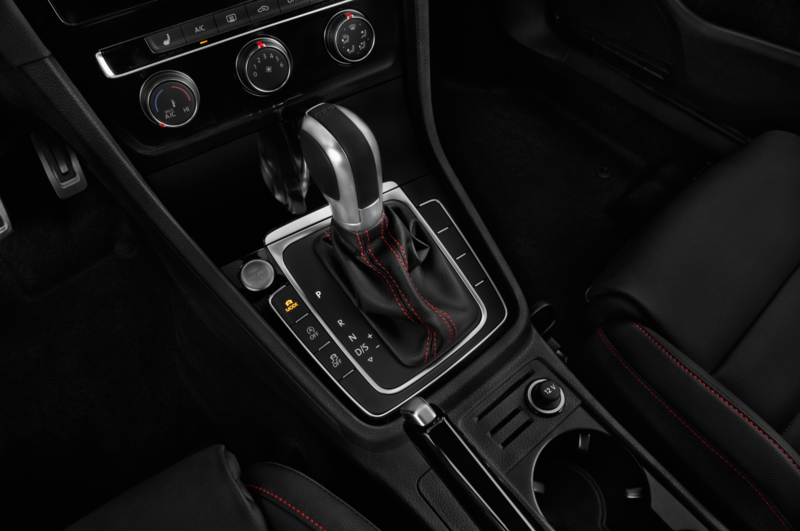 It’s a quick and slick gearbox, precise and well staggered, complemented by a light and progressive clutch. 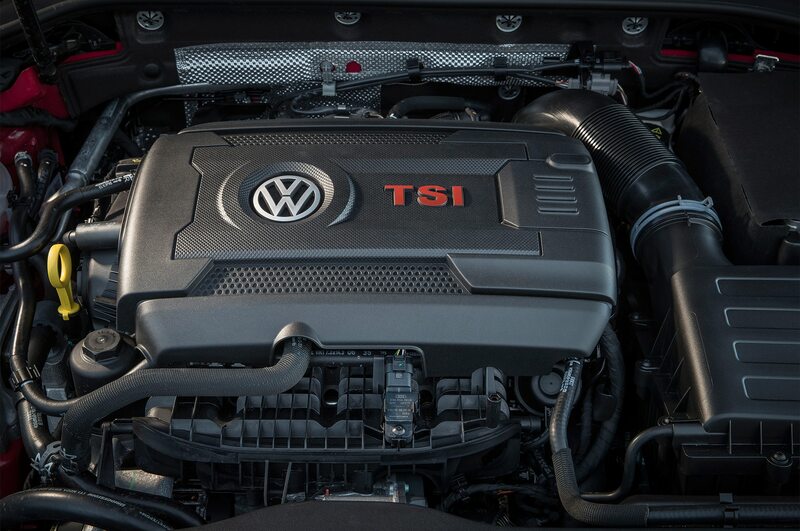 Although redline is 6,500 rpm, there is no real need to push the single-turbo 16-valver beyond its wide sweet spot. 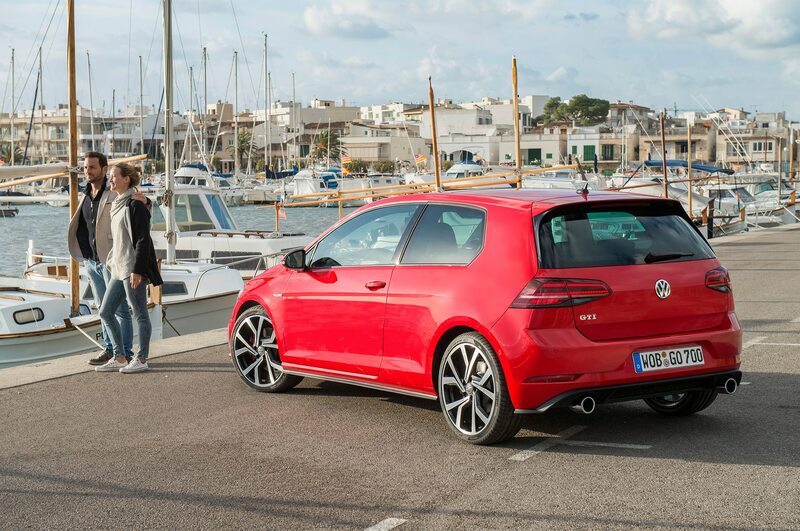 Waltzing one-two-three, one-two-three with the GTI along the southern edge of the Balearic Islands is a pleasantly controlled, unexcited, reduced experience. 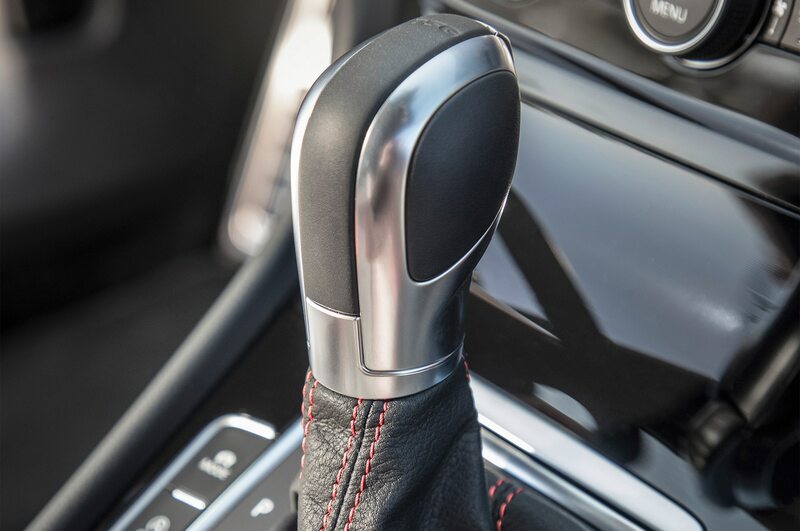 This car frowns at and refrains from grand gestures, so turn in with restraint while staying in the taller gear then open up the steering early and feed the torque diligently. 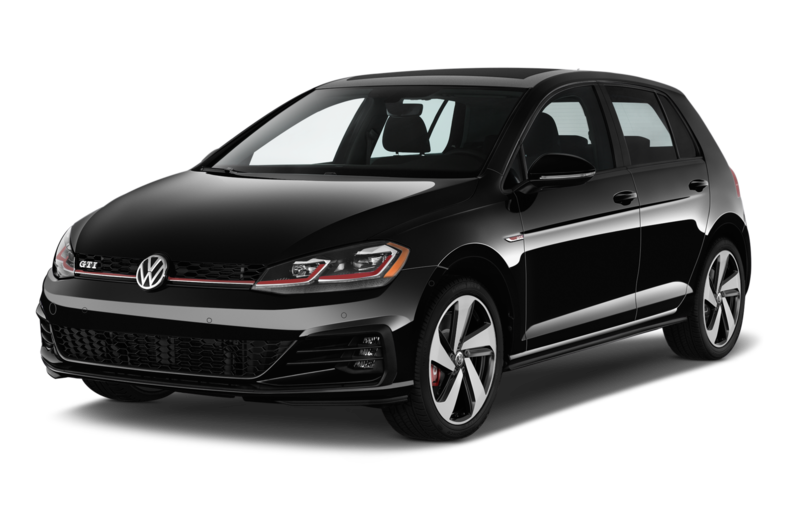 The reward is a captivating blend of cornering grip and exit speed, a high level of composure, immaculate body control, not much understeer, and plenty of feedback. 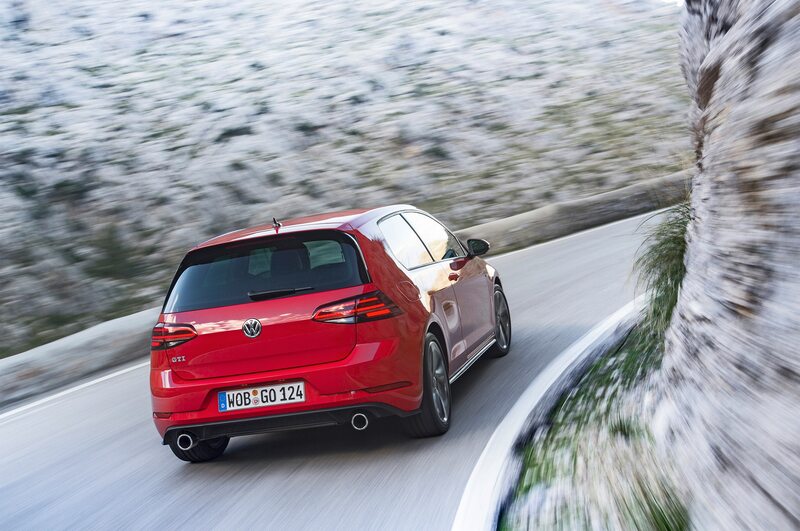 You always know exactly where you are with this Golf, be it one tenth under or over the limit. 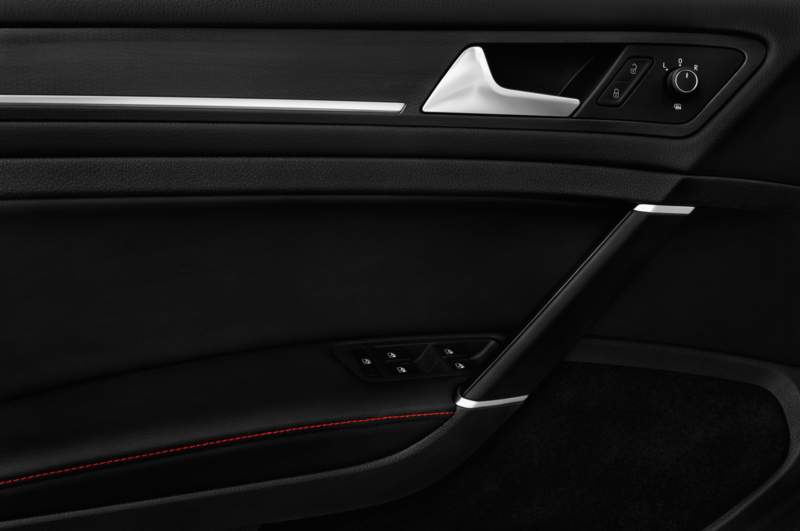 A scalpel rather than a butter knife, it carves a fine line without leaving deep grooves on the blacktop. 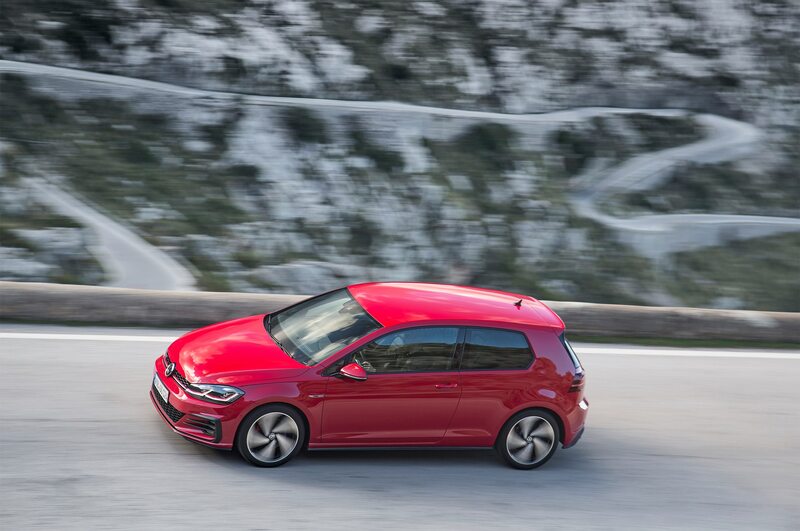 Physically pulling itself together the instant fast forward switches to fast rewind, the GTI shines through the ubiquitous second-gear twisties. 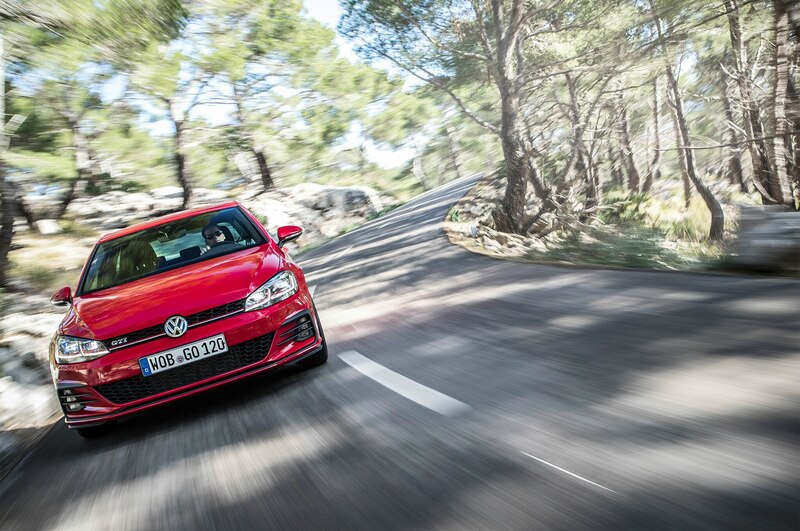 Overdriving the hatch upsets the handling balance by inducing excess understeer and destructive ASR/ESP interference. 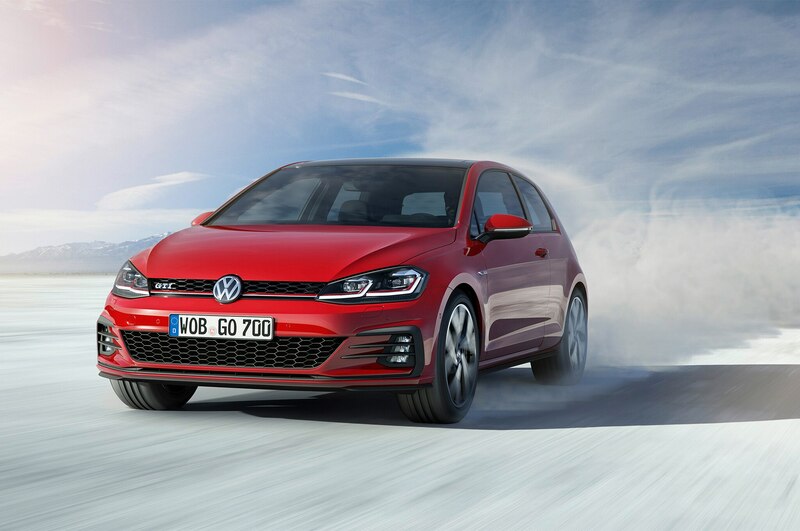 It’s much better to keep this car on a long leash, give torque preference over power, time driver inputs defensively, maintain a steady flow. 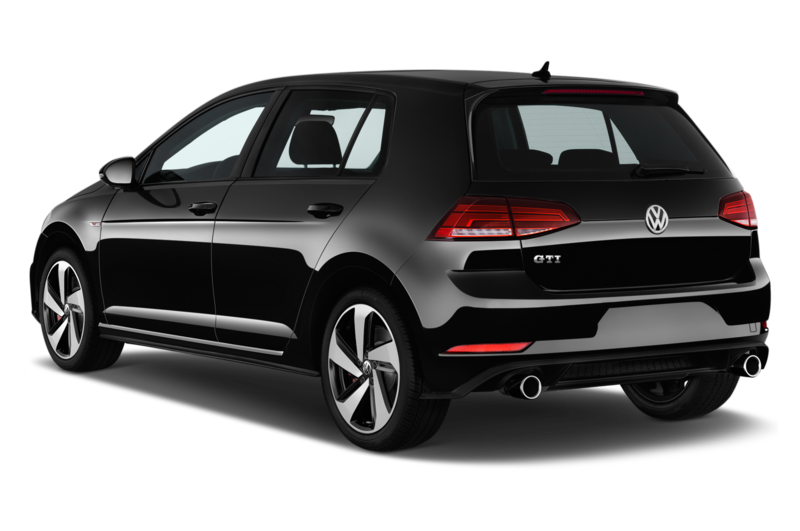 After all, this is no longer your father’s GTI — or the GTI I still remember vividly from the original press launch. 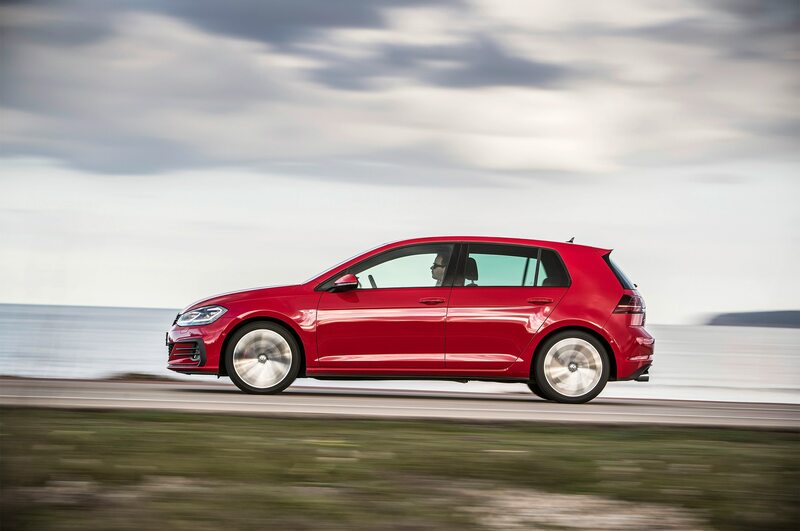 The Golf has grown up, put on weight and learned new tricks — but is still delightful to drive. 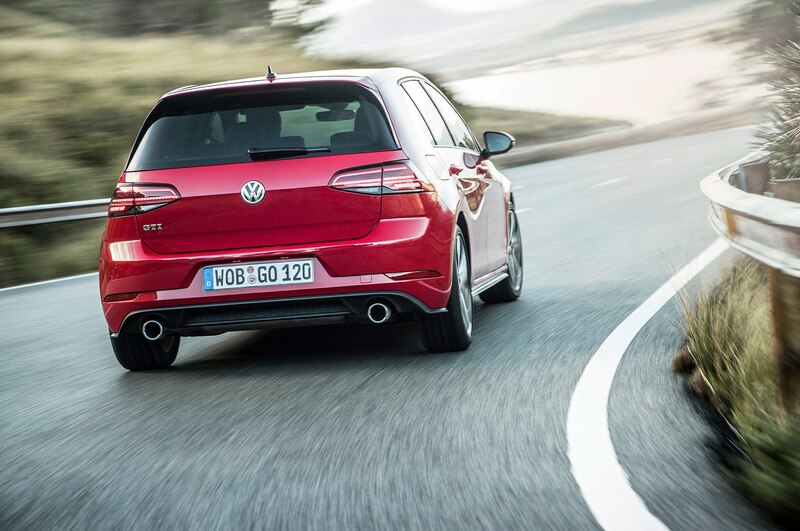 Of course, we expect a sharper Golf R and European-only track-bred Clubsport to follow. 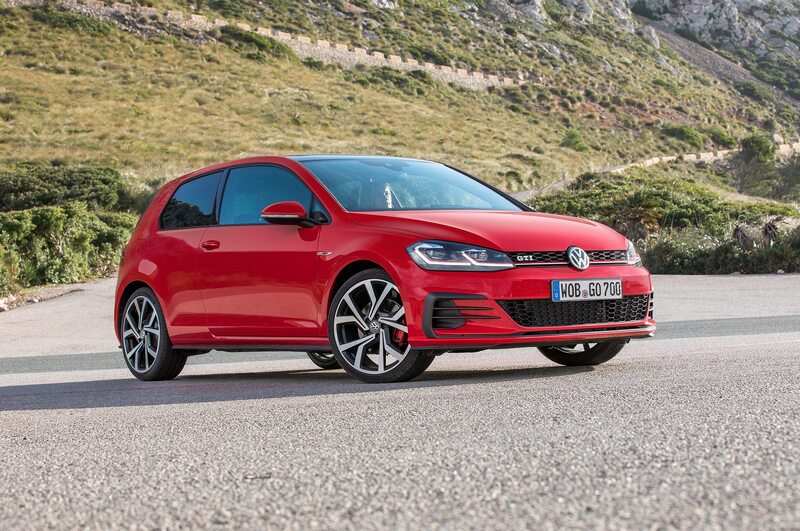 In a way, the GTI feels more like a detuned Golf R without all-wheel drive, like the cruiser version of the line-topping bruiser. 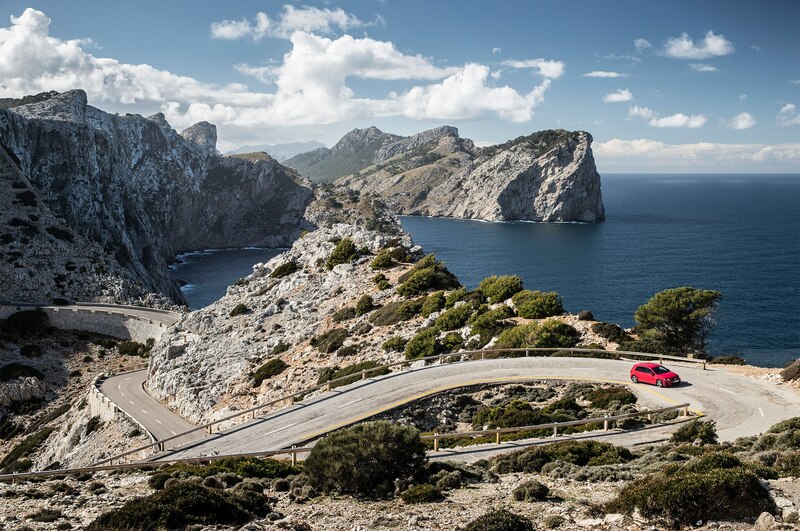 But don’t forget that Mallorca and its winding by-ways are only one side of the coin. 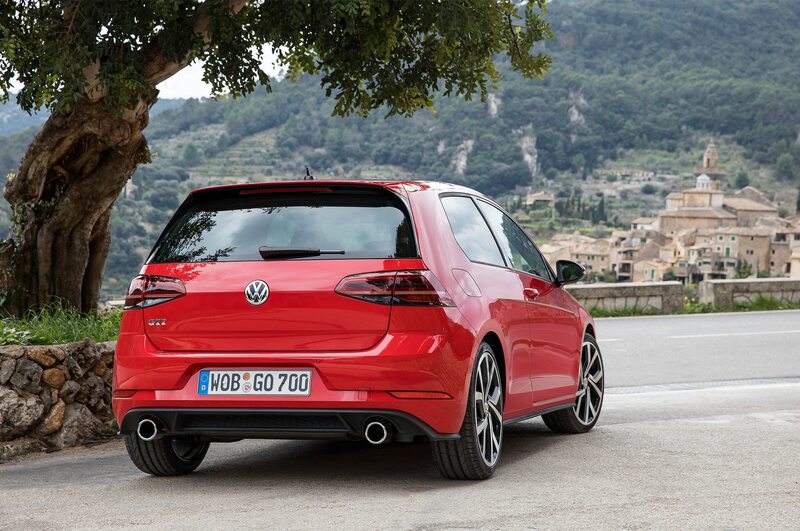 Picture this car on fast country roads or on the autobahn and it will no doubt collect more brownie points. 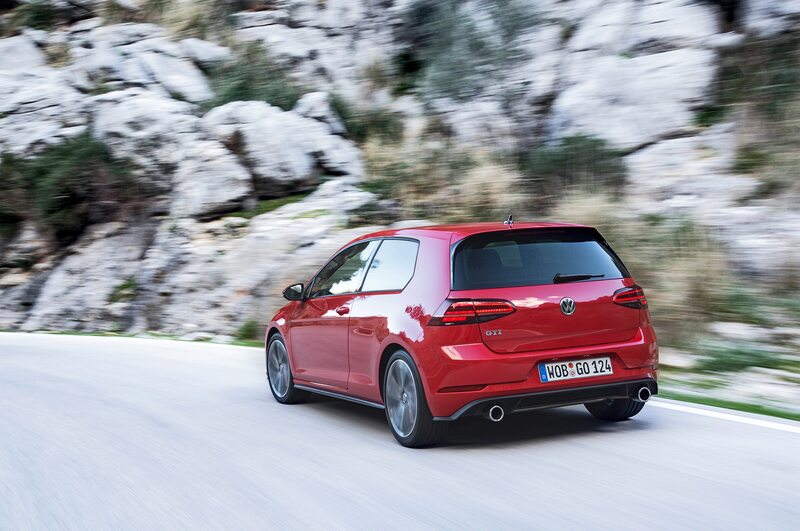 After all, no contender can match the epic Golf for its sweet ride-and-handling mix and the rare combination of laid-back competence and absolute commitment.